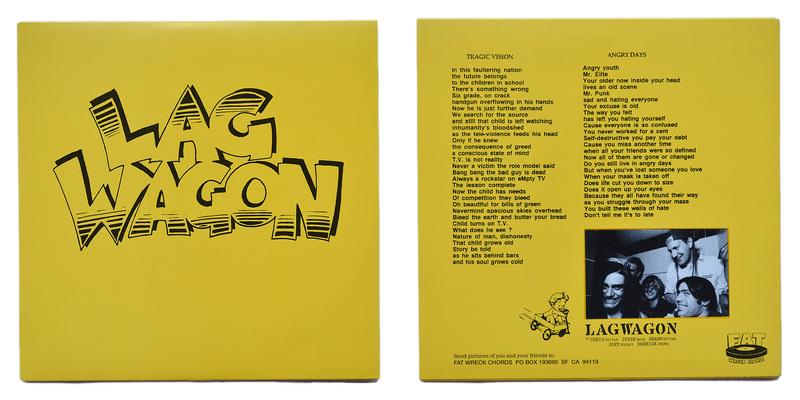 Special info: Orange fold-out sleeve with lyrics on the back. 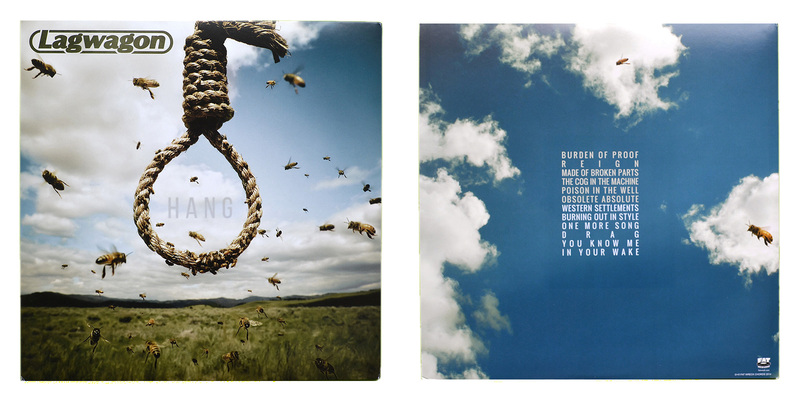 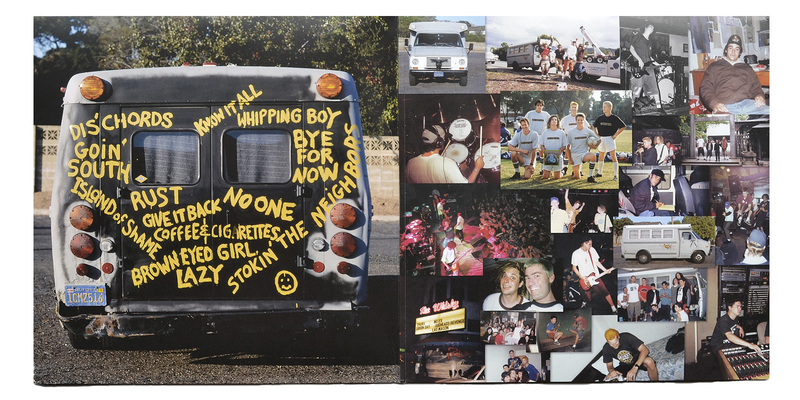 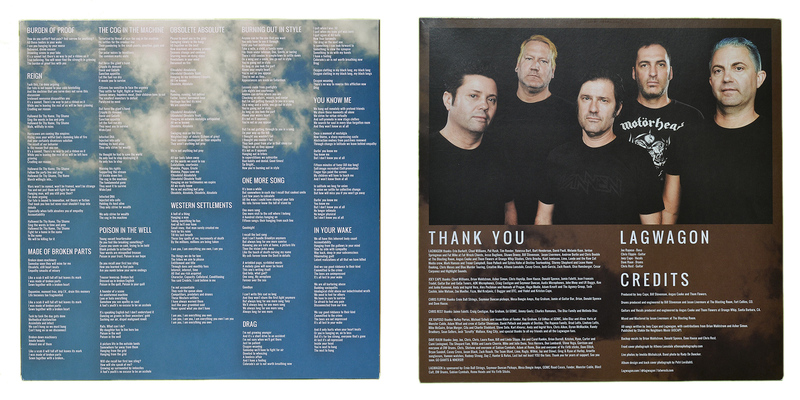 Special info: Comes with a lyric sheet. 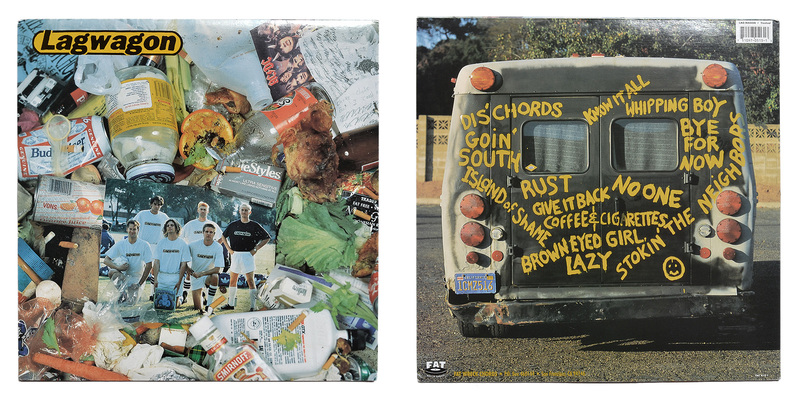 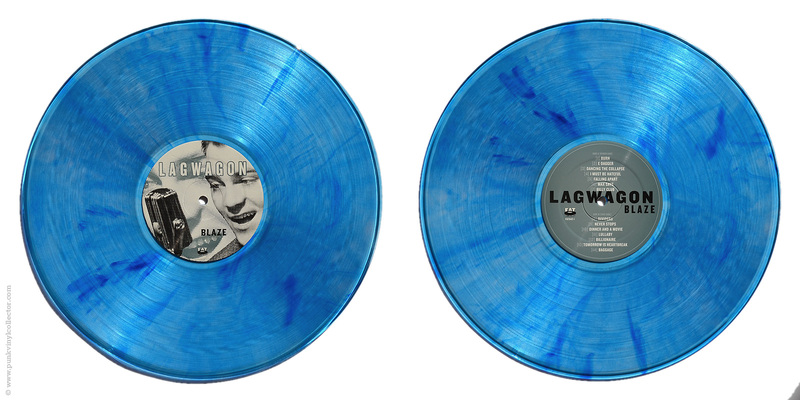 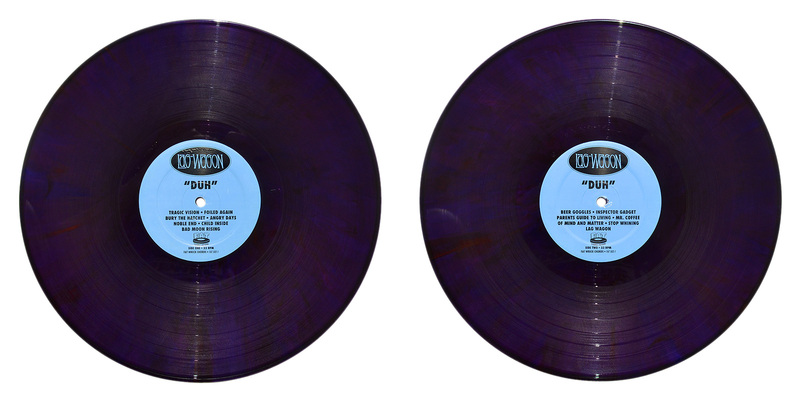 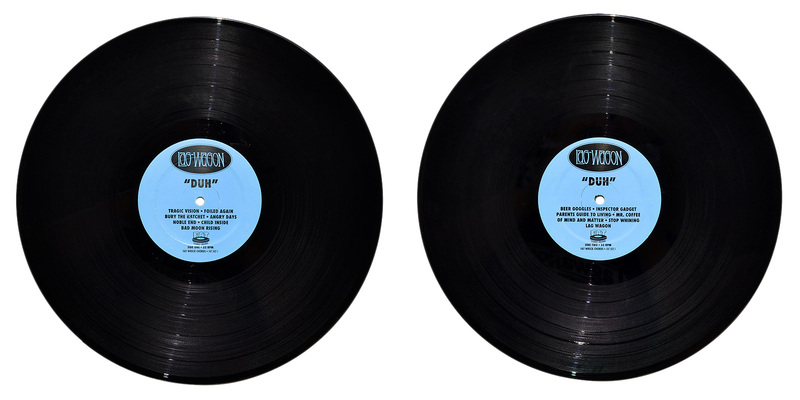 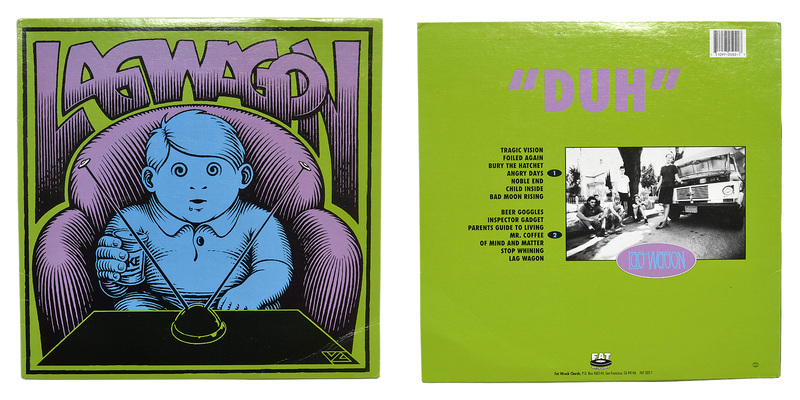 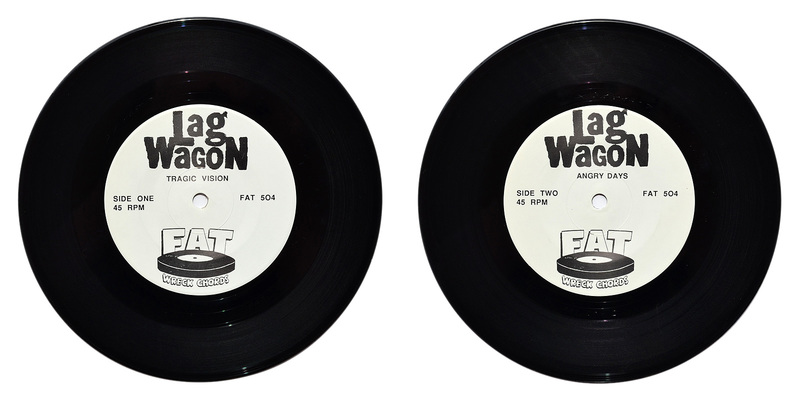 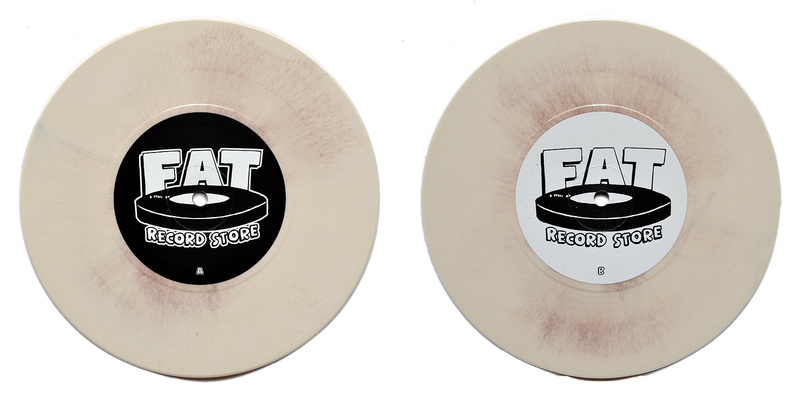 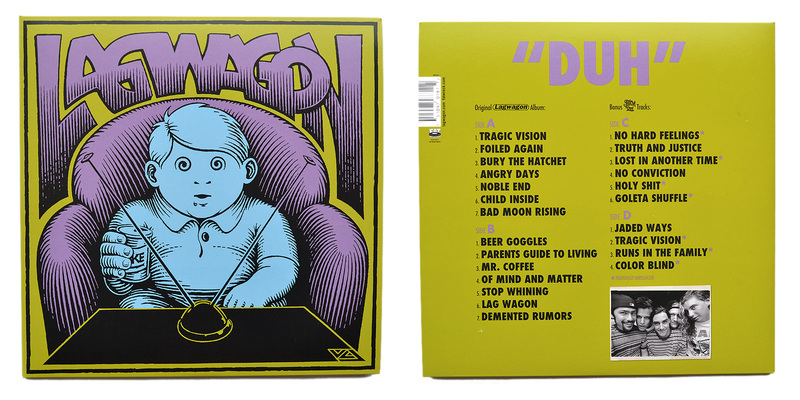 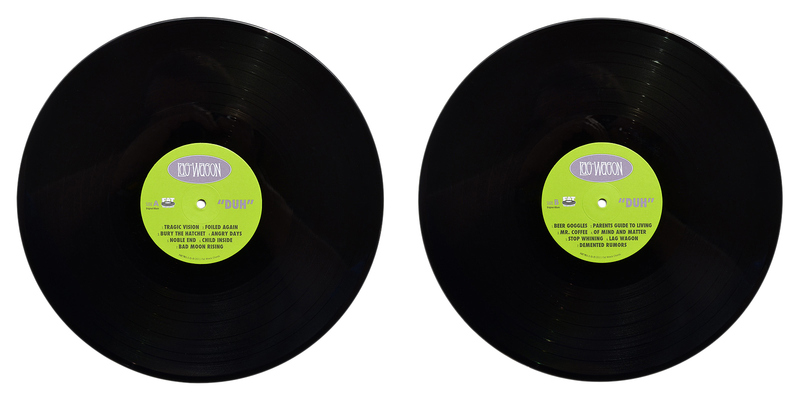 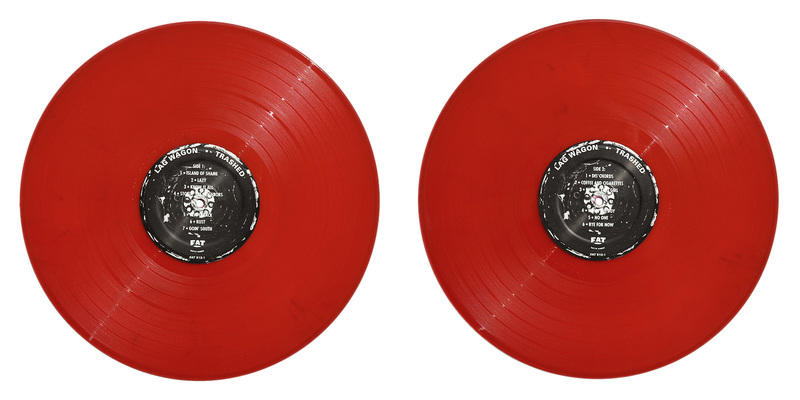 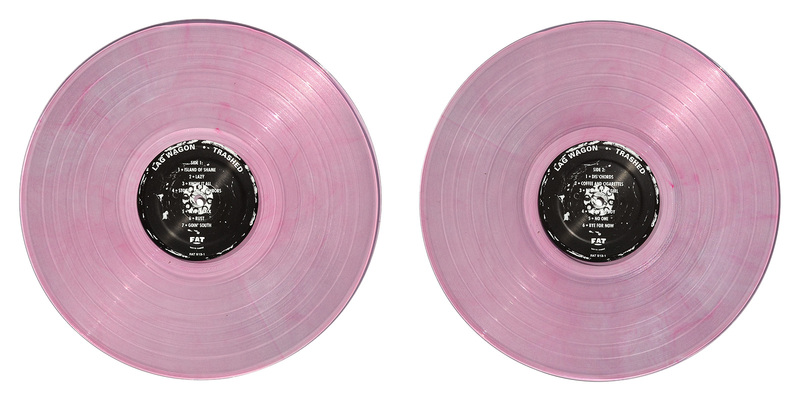 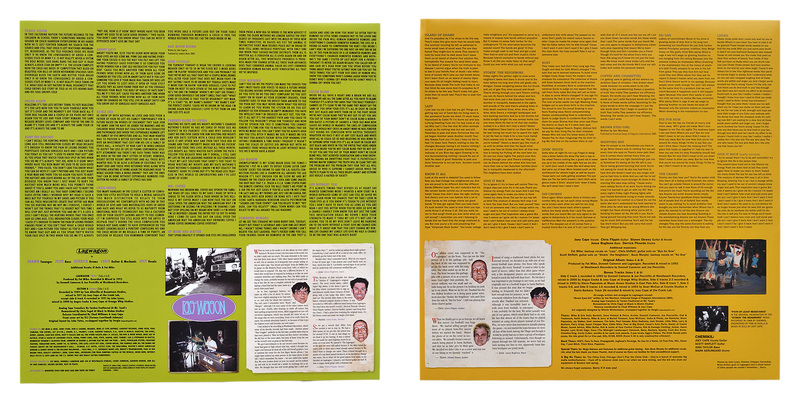 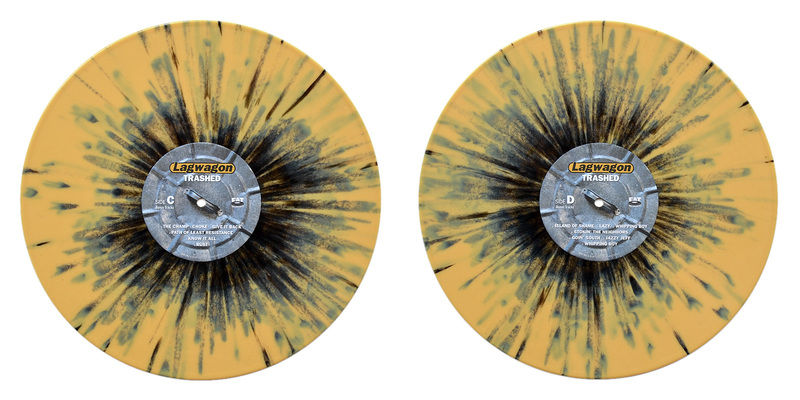 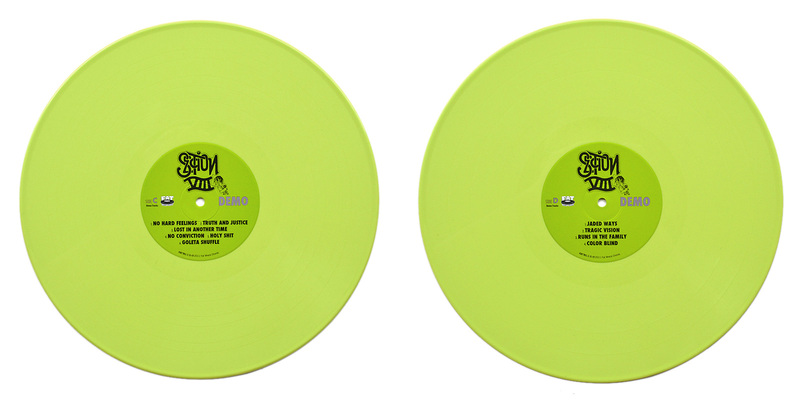 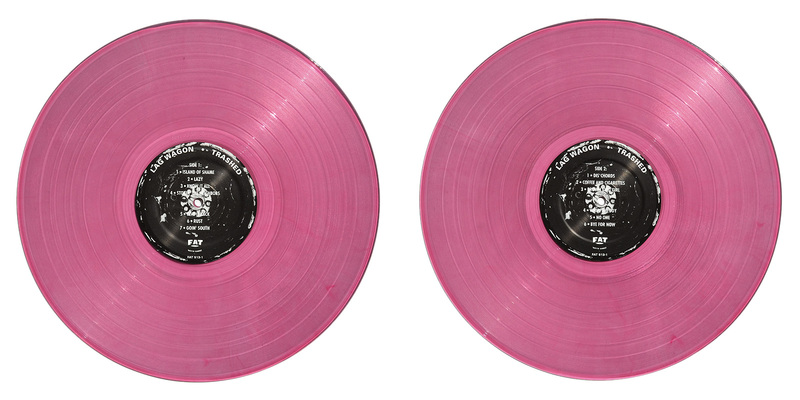 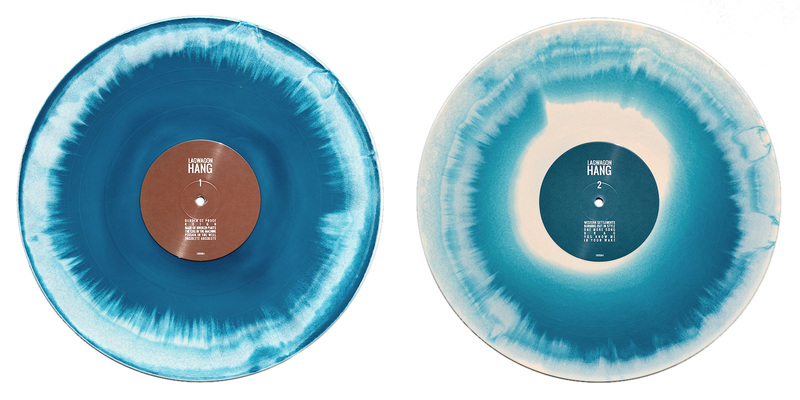 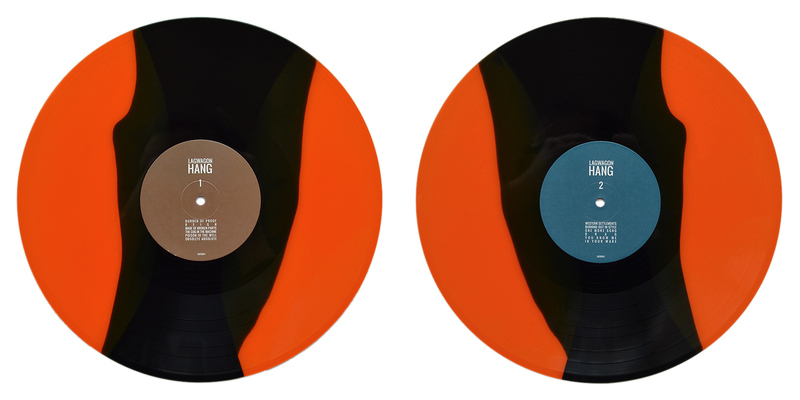 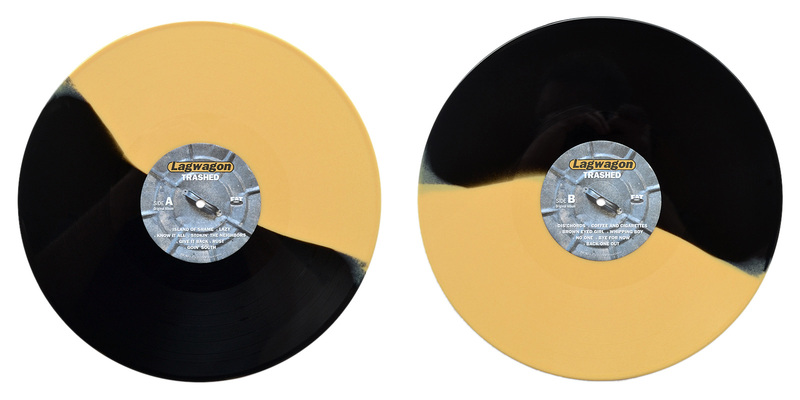 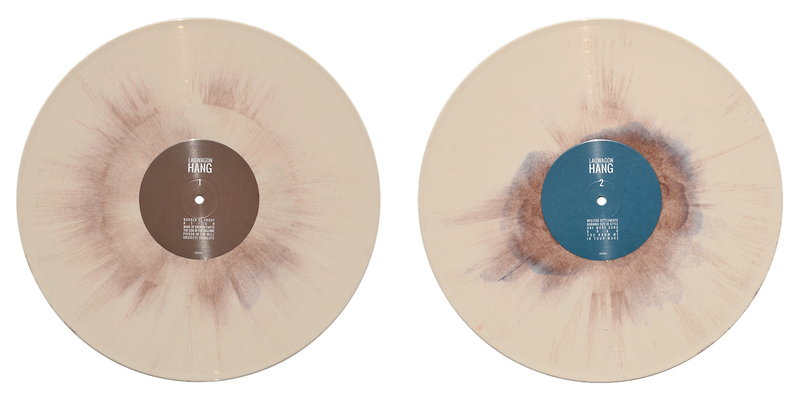 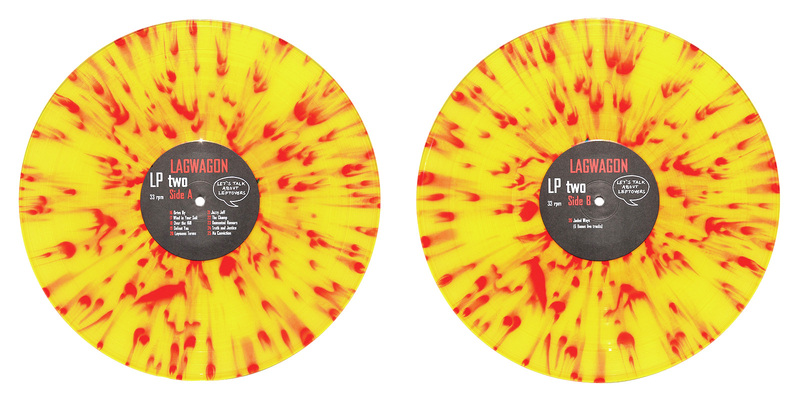 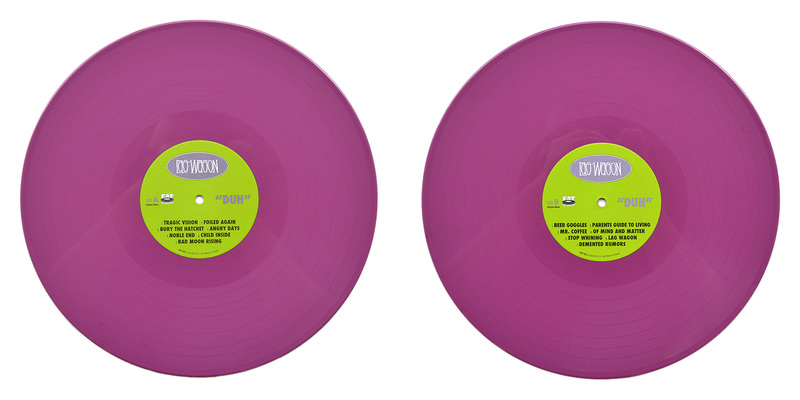 The 2nd pressing was the first record that got a color vinyl treatment in Fat’s classic color repress series. 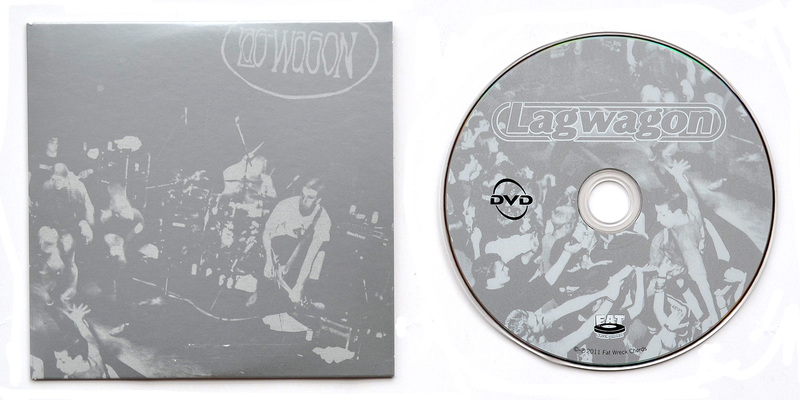 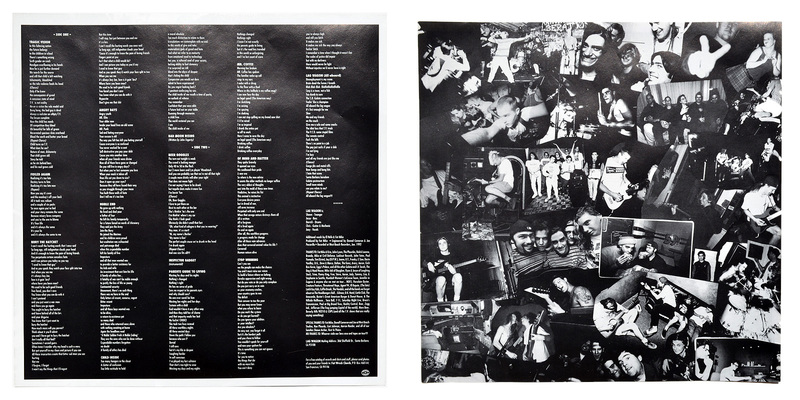 Special info: Comes in a generic white sleeve and was distributed along with the Ox-Fanzine. 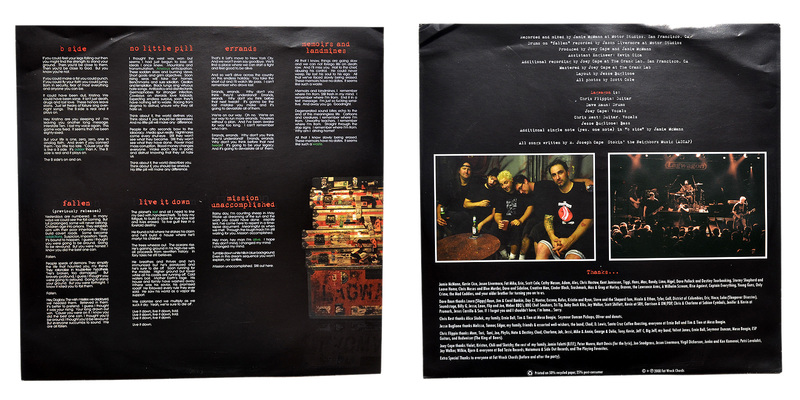 Special info: Comes with a lyric sheet. 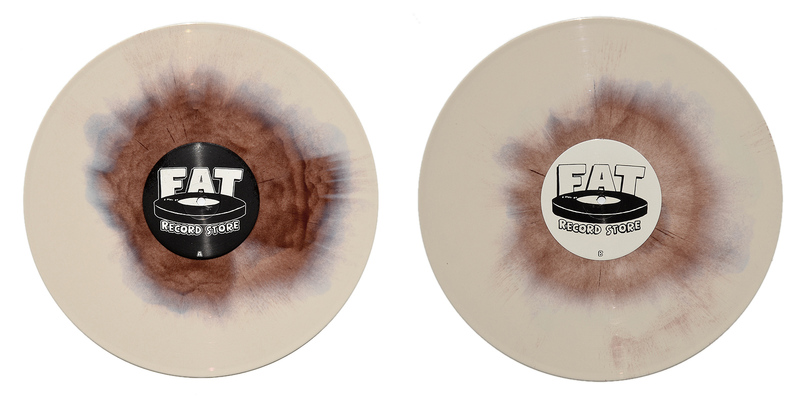 The 2nd pressing is part of Fat’s classic color repress series. 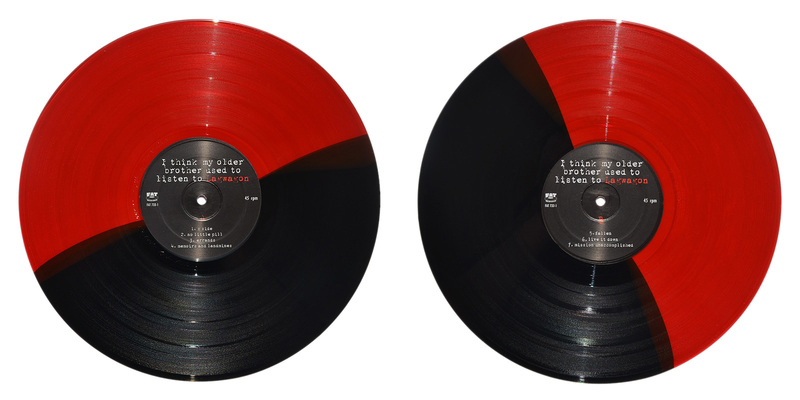 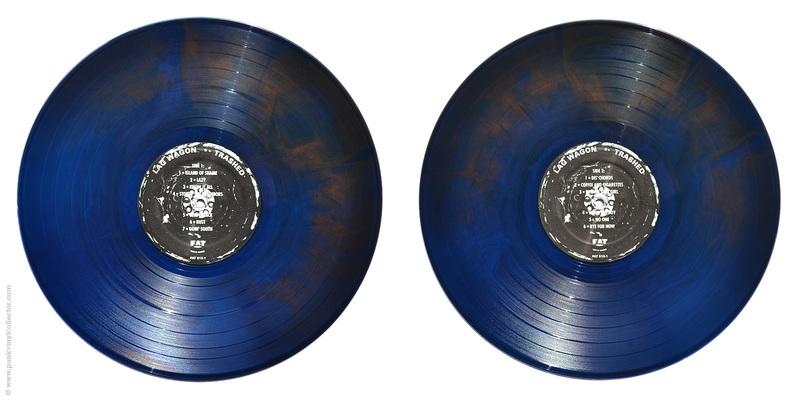 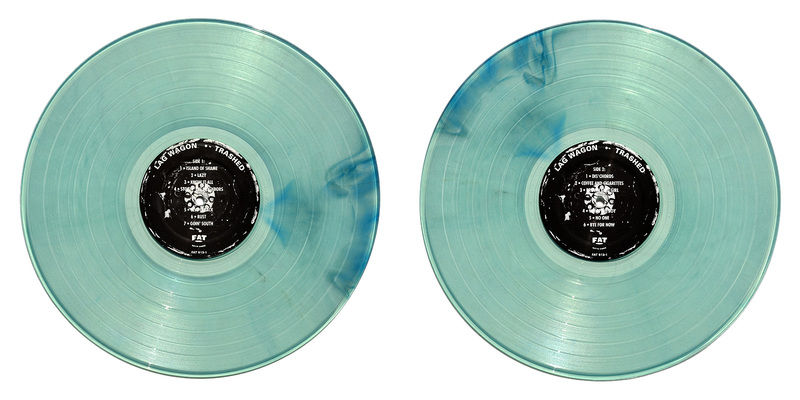 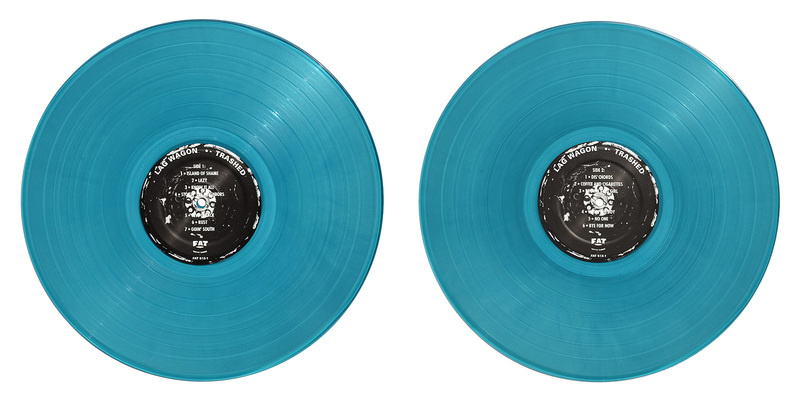 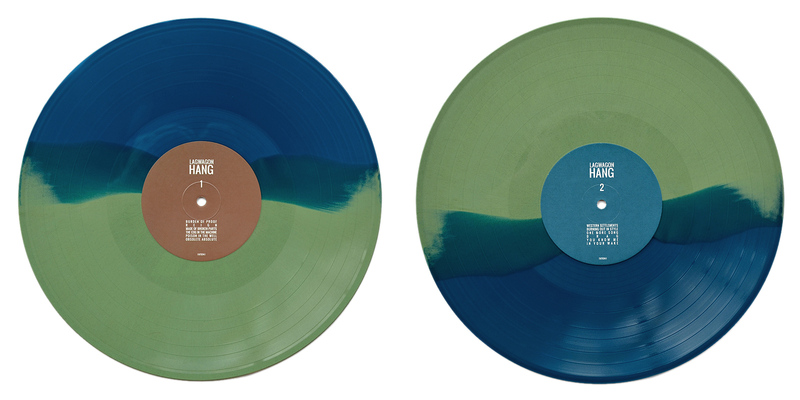 There are four “main” colors for the repress (clear, red, green and blue) and many many variants inbetween. 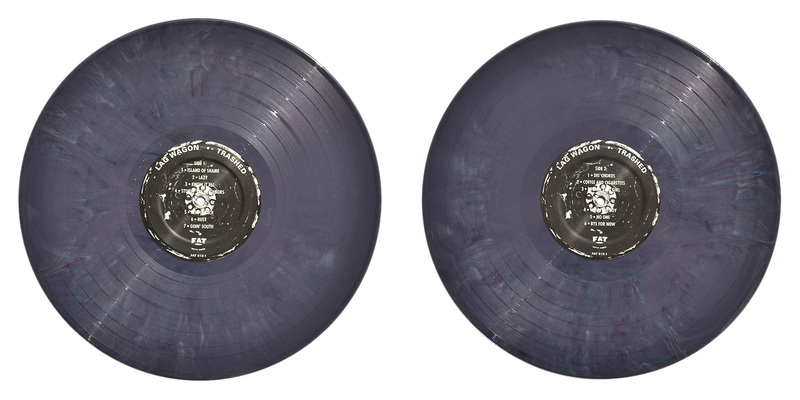 All in all there were 765 copies pressed on colored wax. 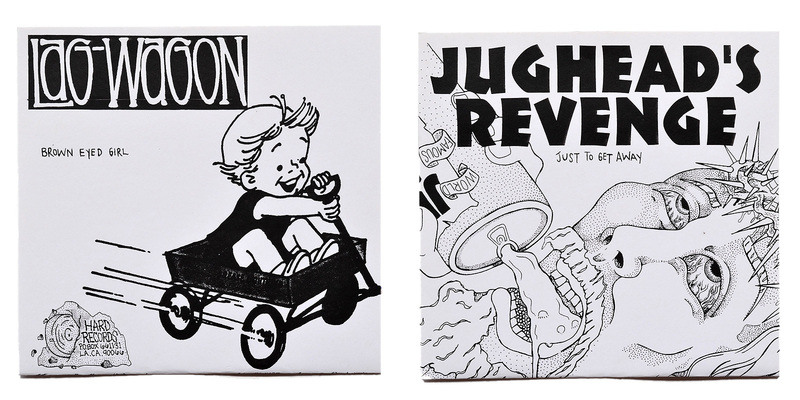 Special Info: Comes with full-colored comic book. 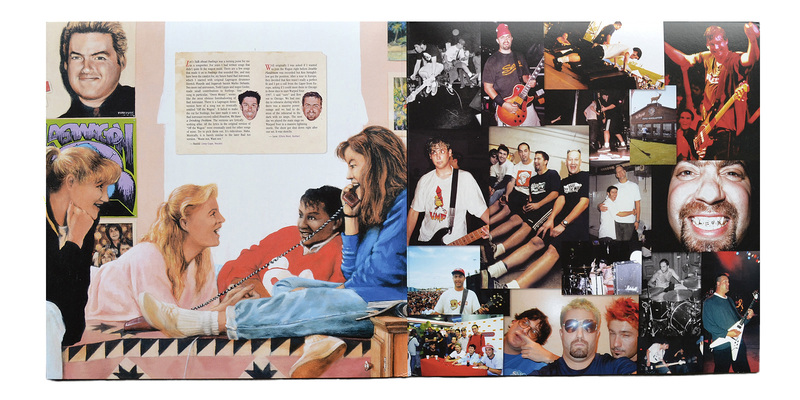 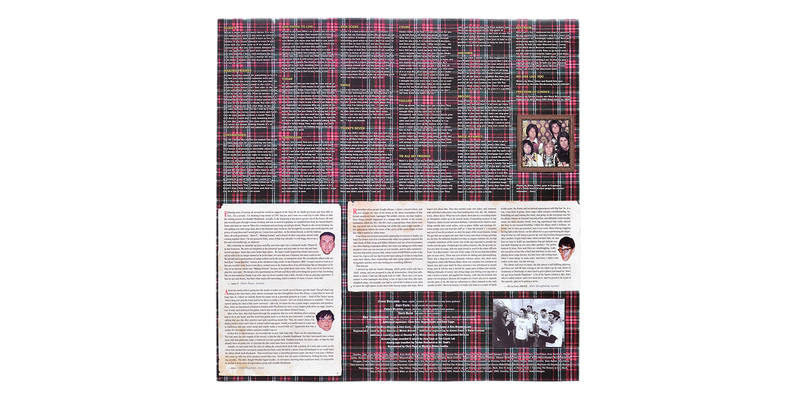 Special info: Includes lyric sheet and CD of the entire album. 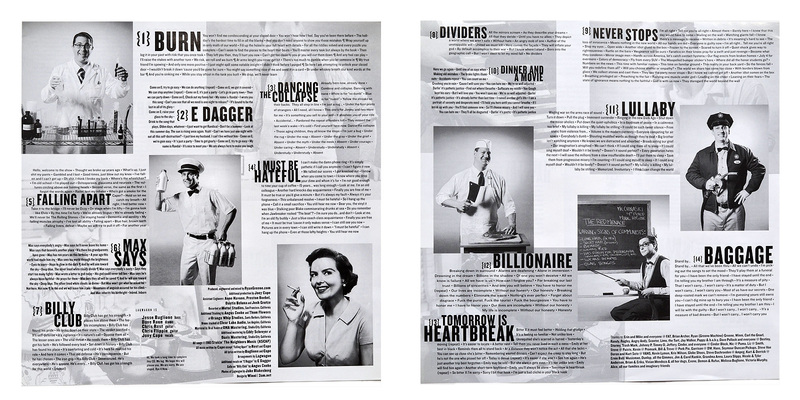 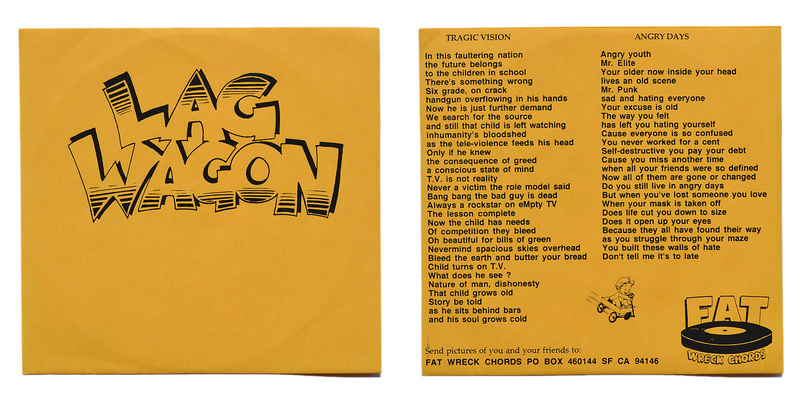 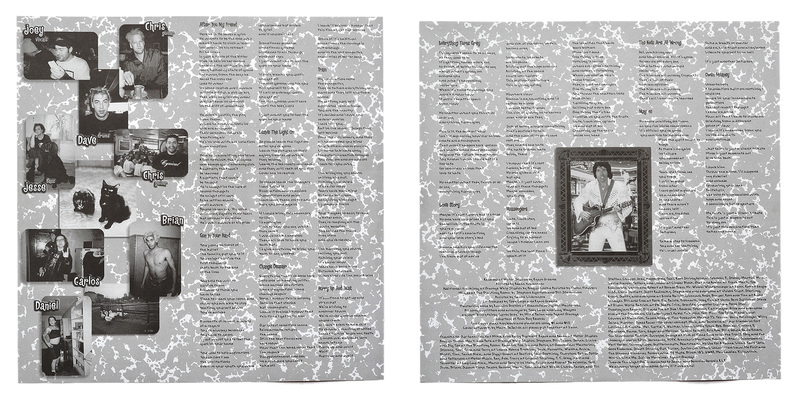 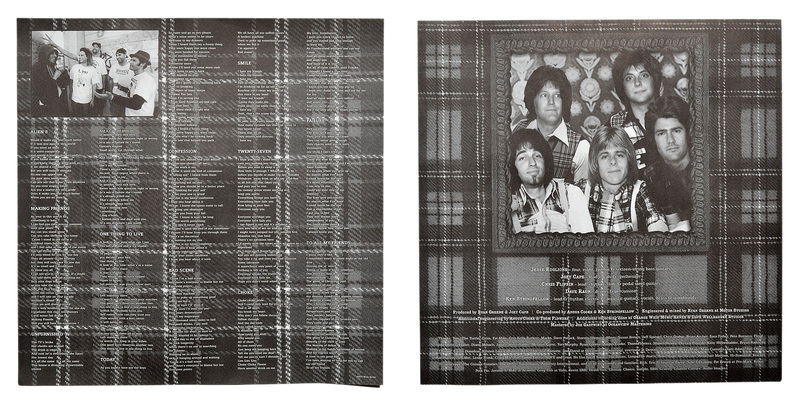 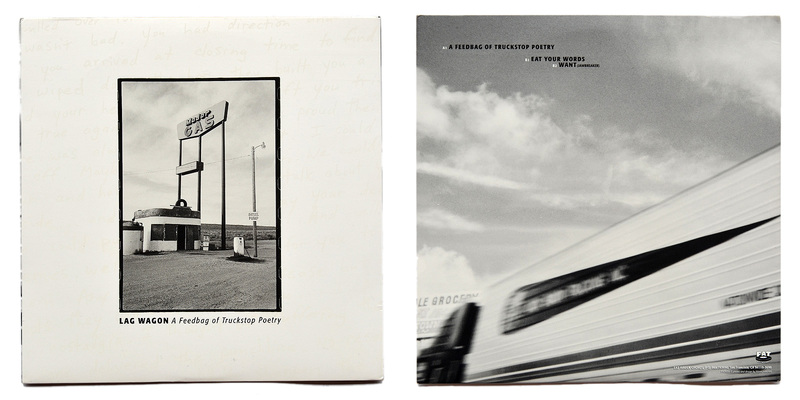 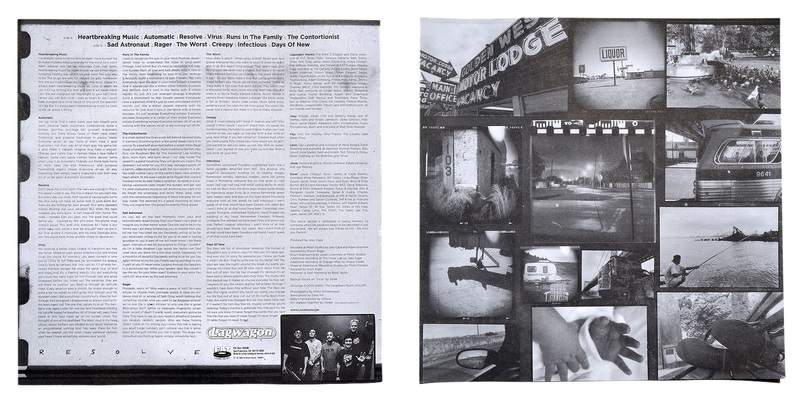 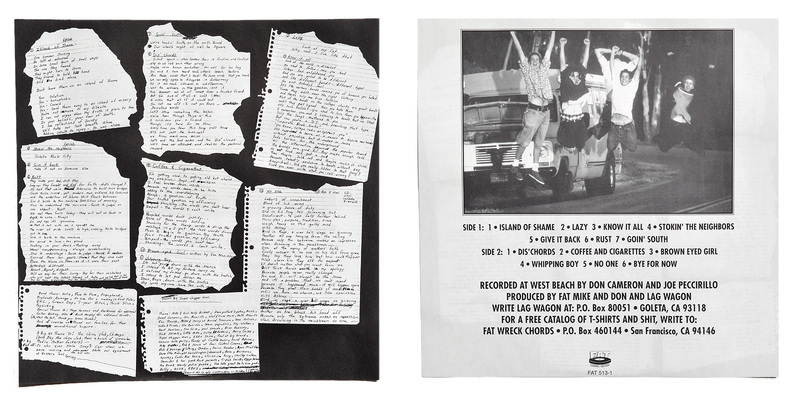 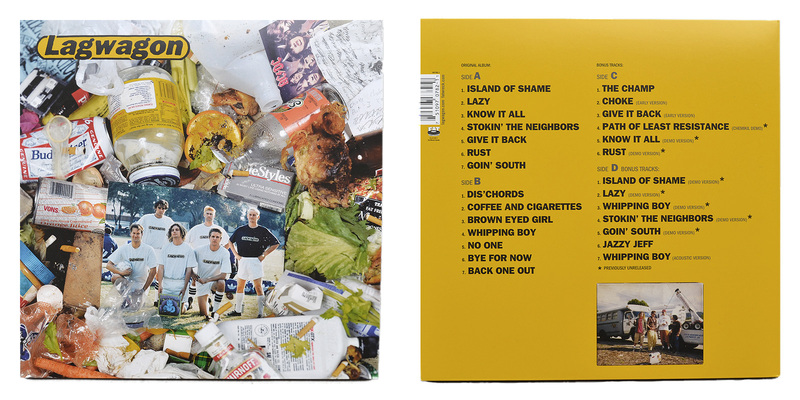 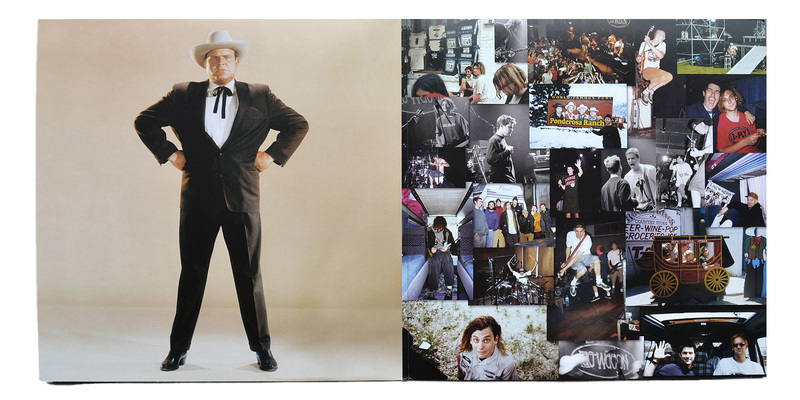 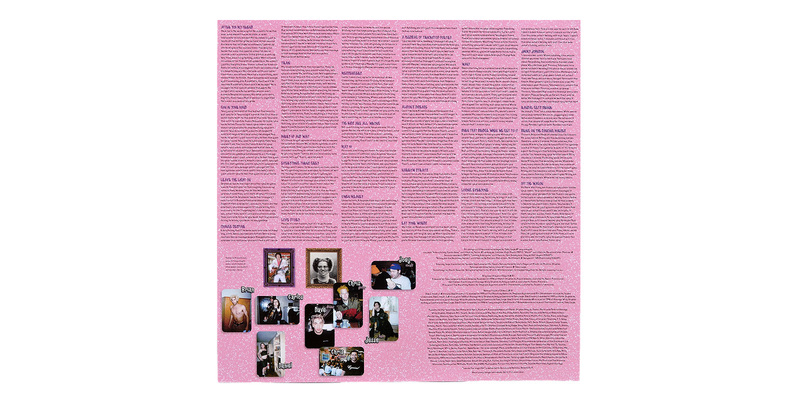 All albums come in a gatefold sleeve with a lyric sheet and some liner notes. 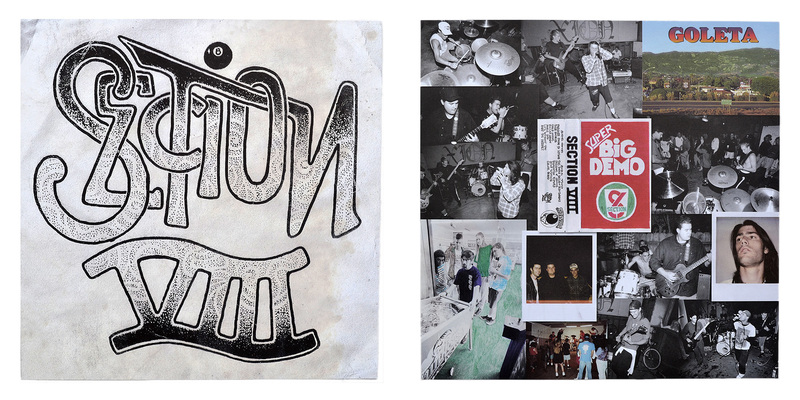 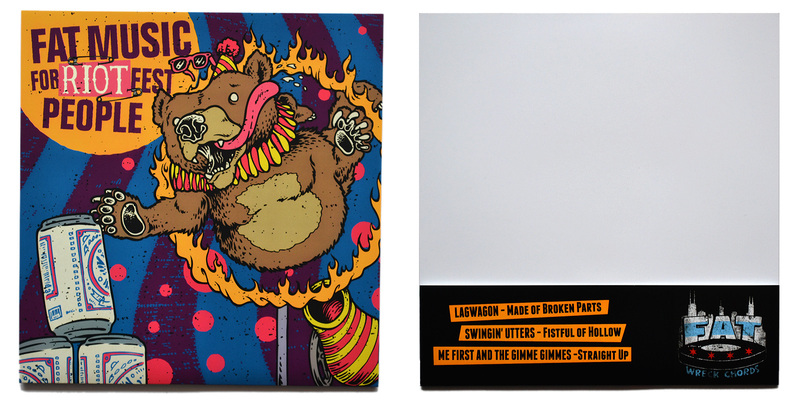 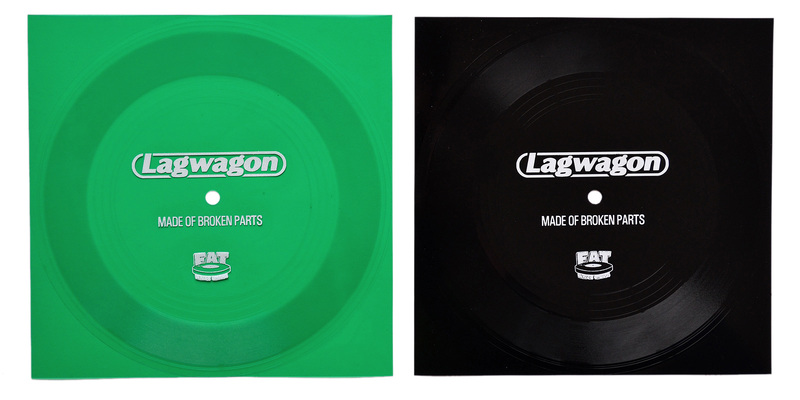 Special info: For Riot Fest 2014 Fat Wreck Chords released two 3-flexi-disc packs featuring three bands. 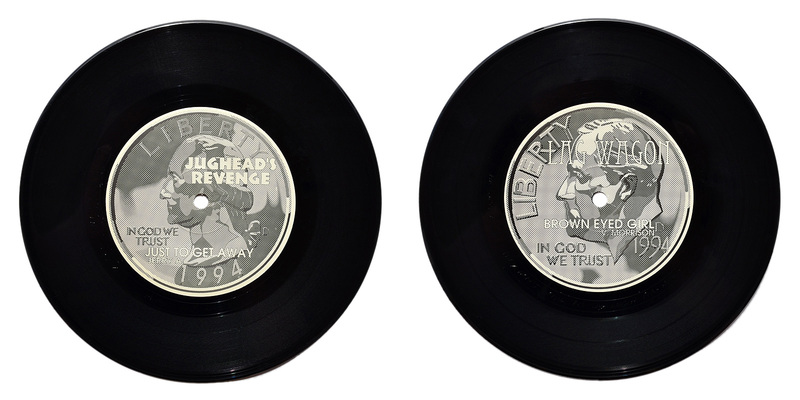 Each flexi disc contains one song by another band. 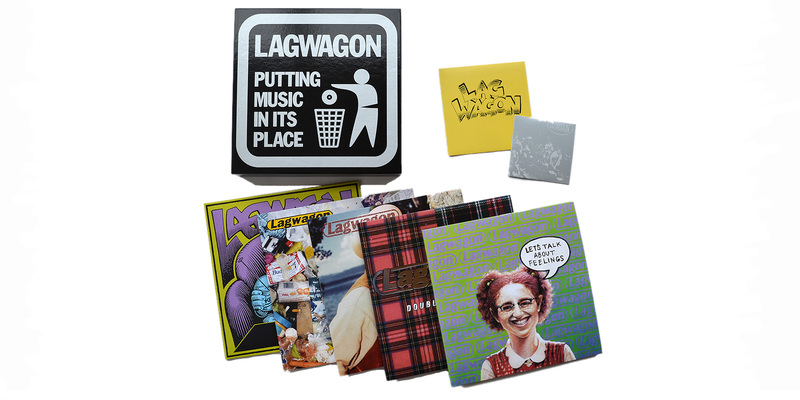 It comes with a Fat Wreck Chords insert and a Fat Riot Fest sticker. 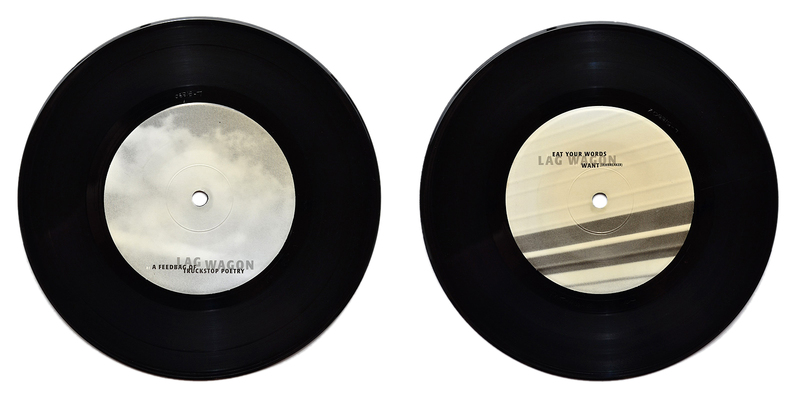 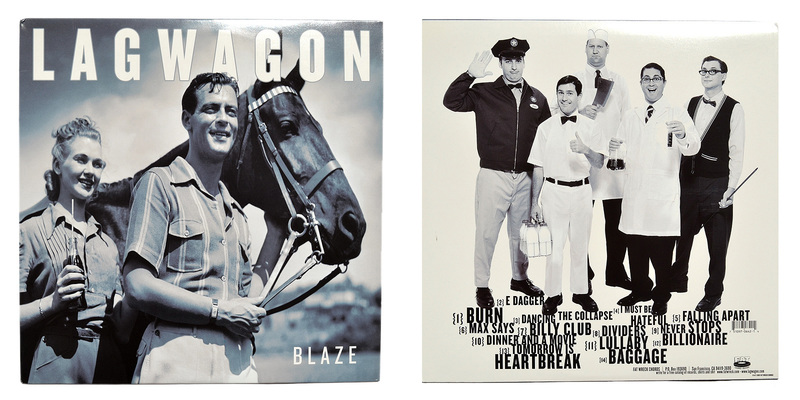 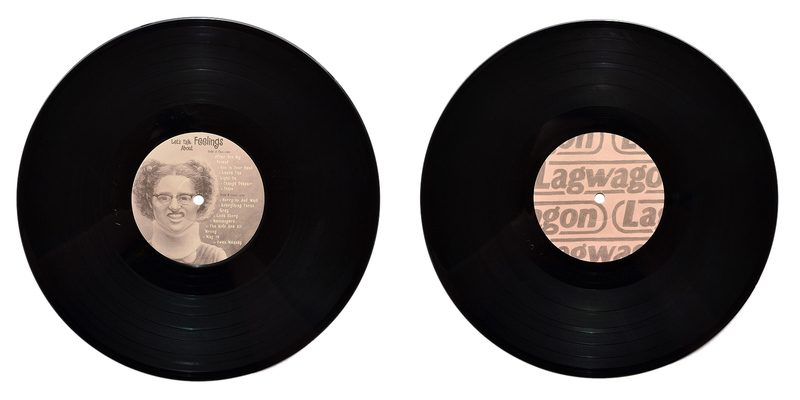 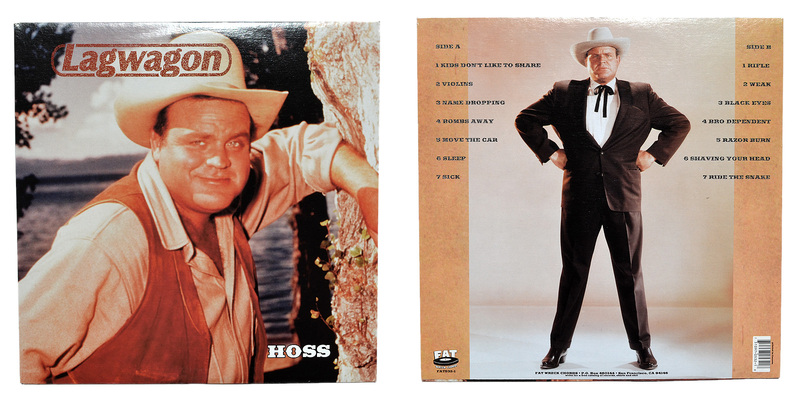 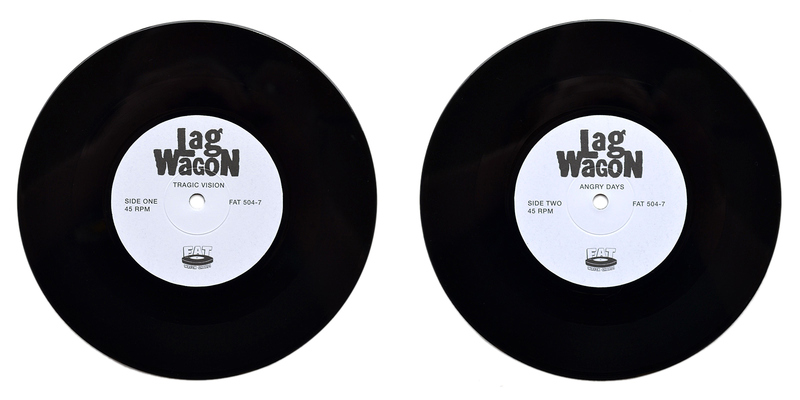 Special info: The versions with the bonus 7” come in a gatefold sleeve. 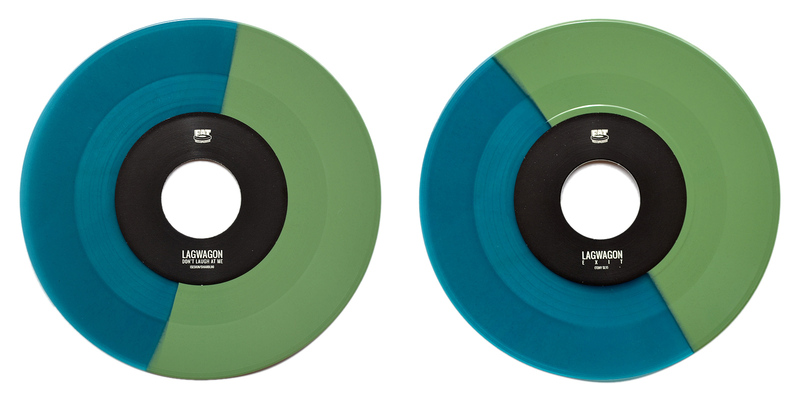 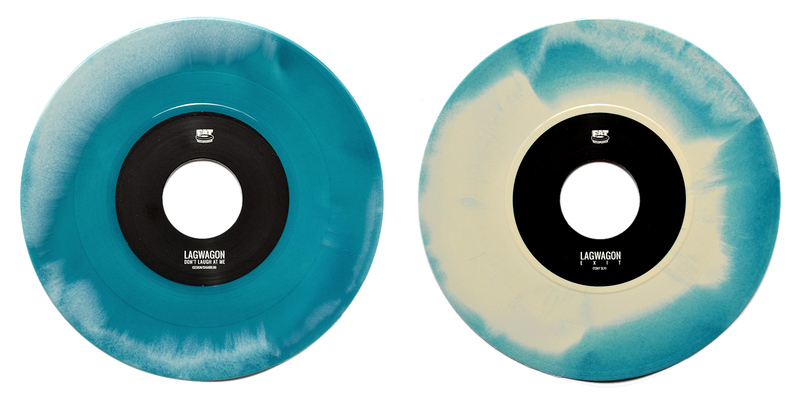 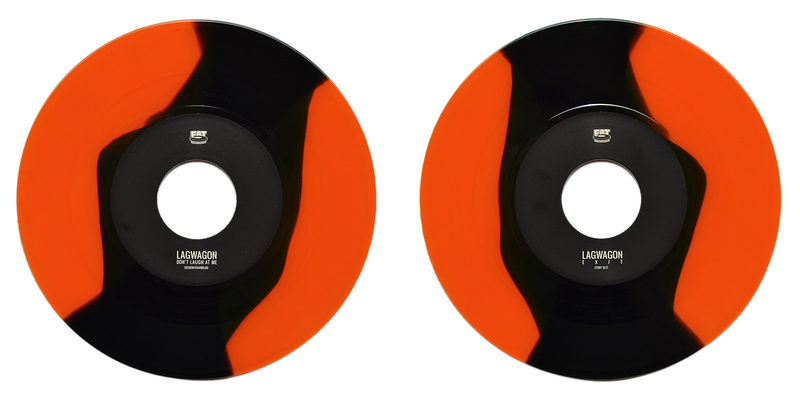 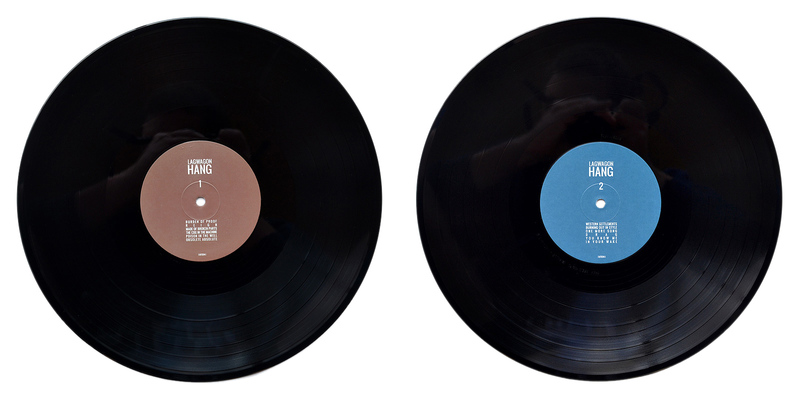 The 7” exactly mirrors the colors and vinyl effect of the 12” it comes with. 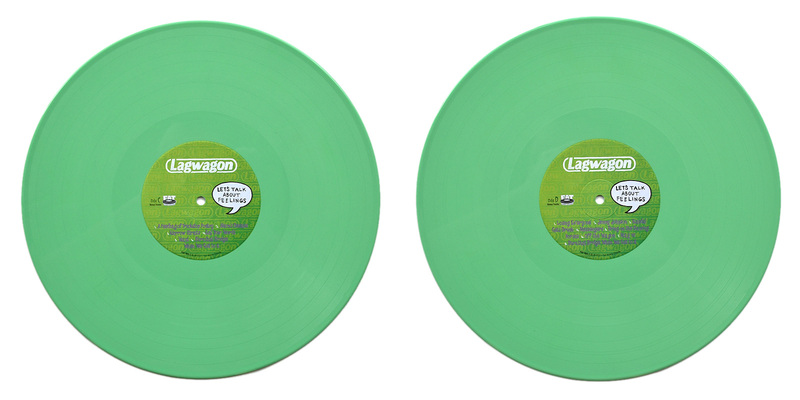 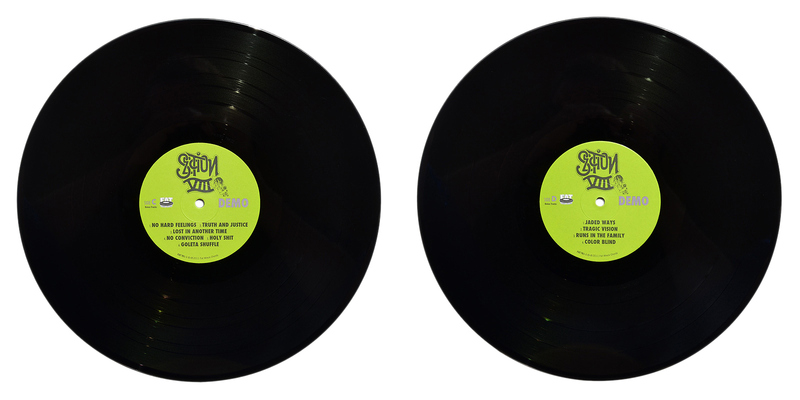 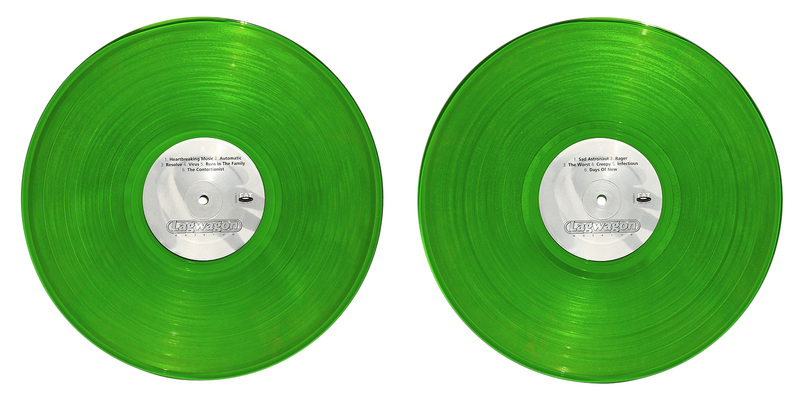 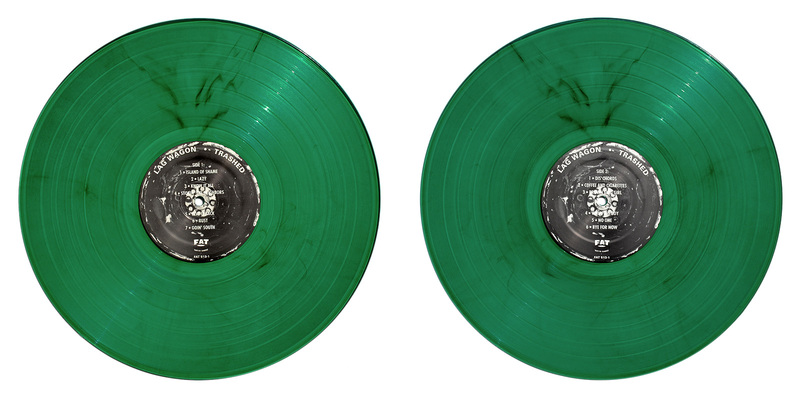 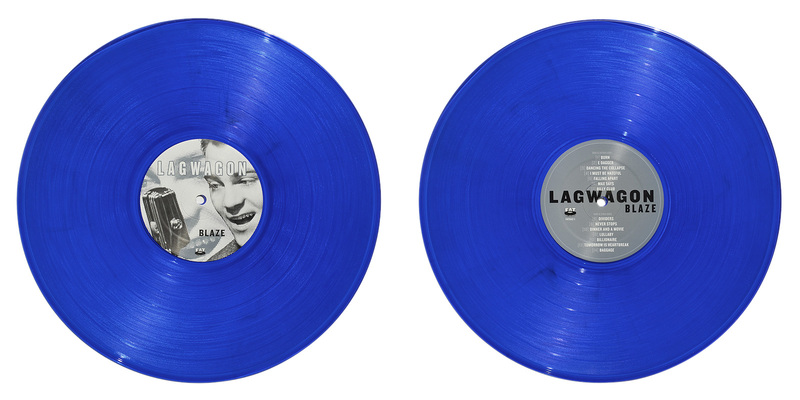 The green/blue vinyl version was only available as bundle together with a slipmat, a T-Shirt, a poster and a DVD. 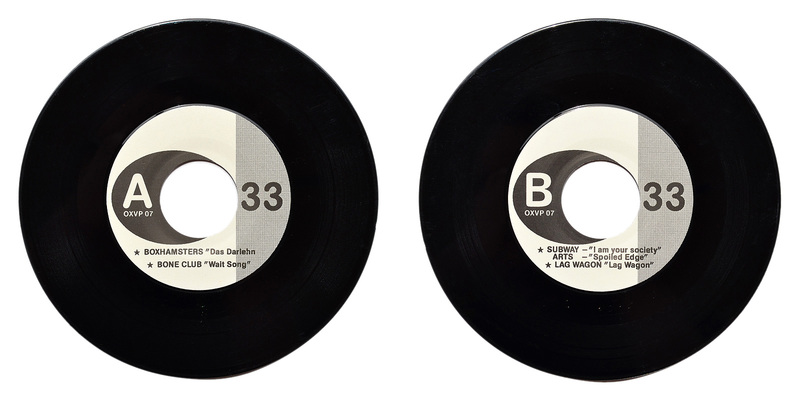 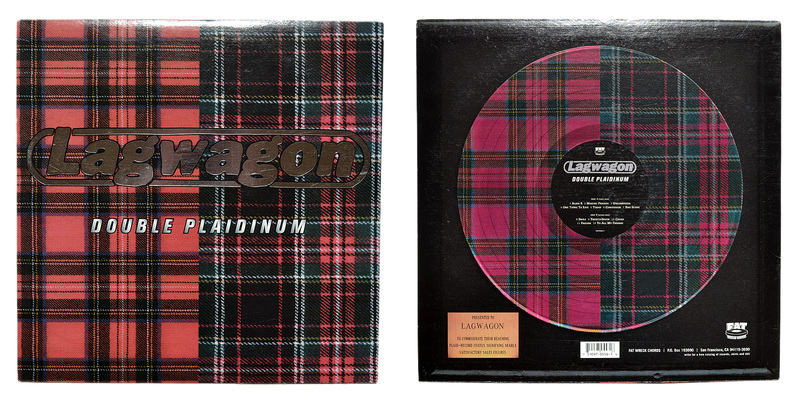 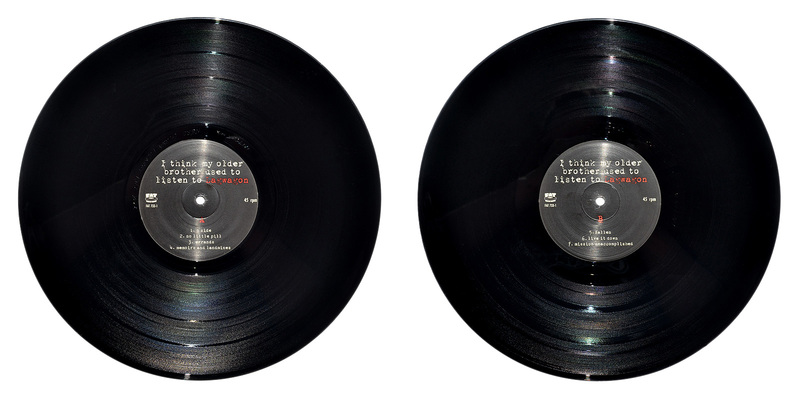 The tour version was intended to be the 12” of the store edition. 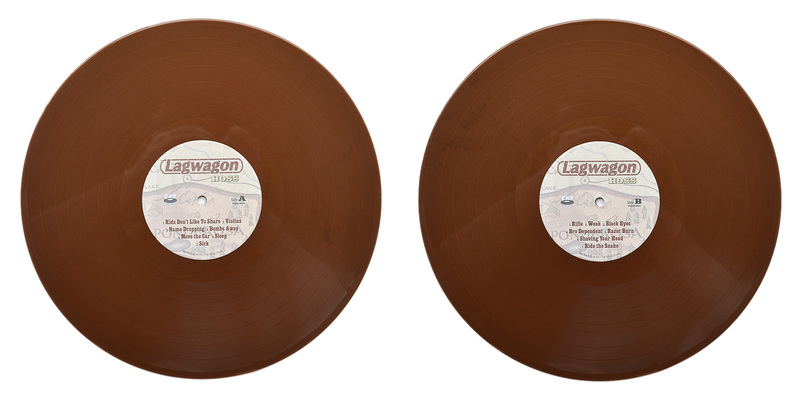 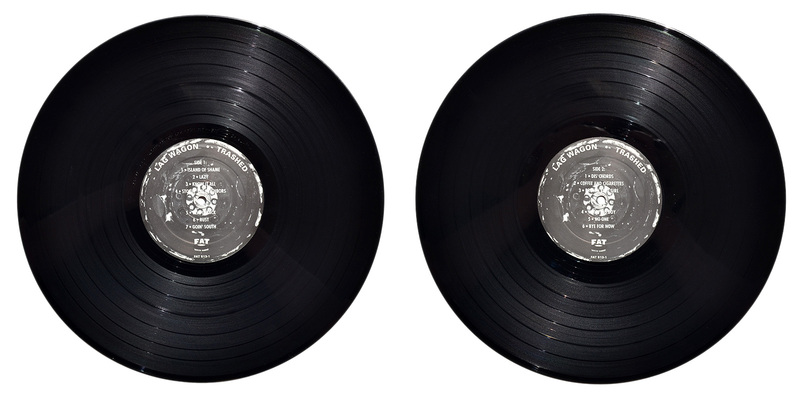 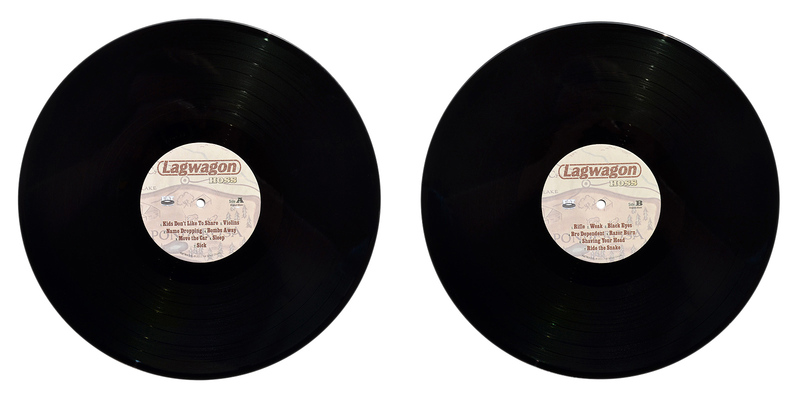 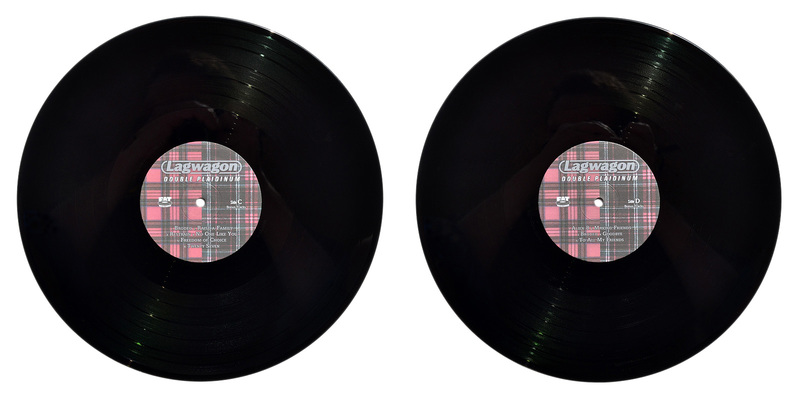 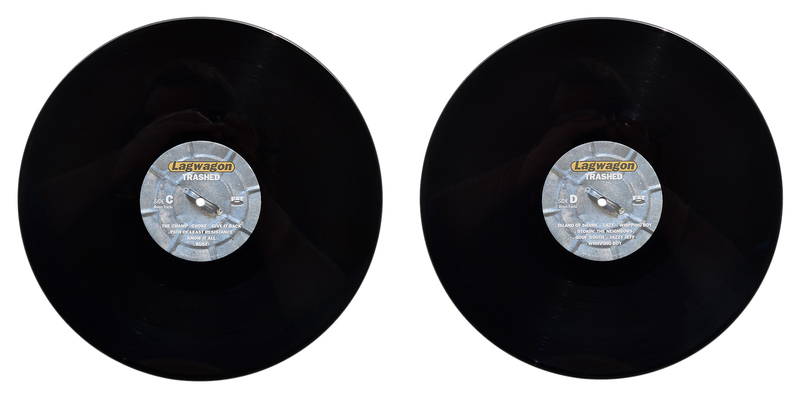 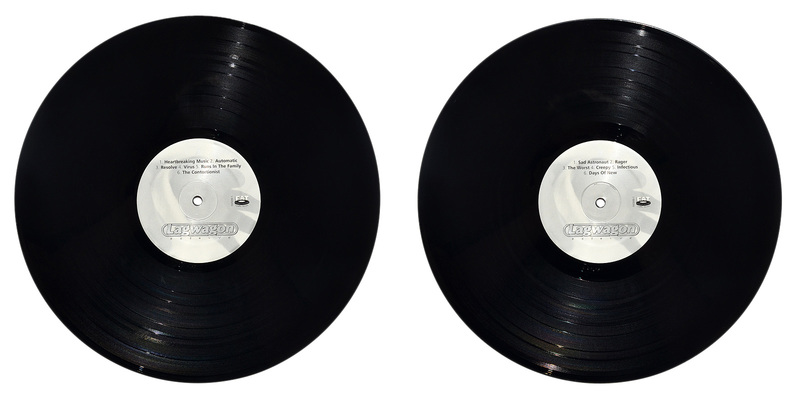 Unfortunately, the pressing plant put the standard labels on the vinyl, so they had to be repressed. 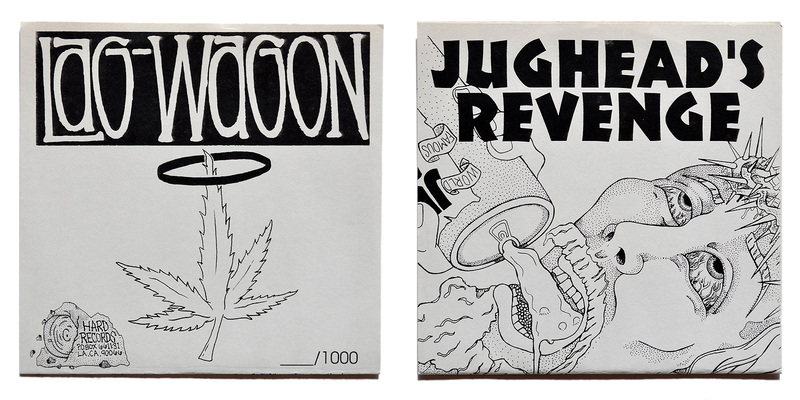 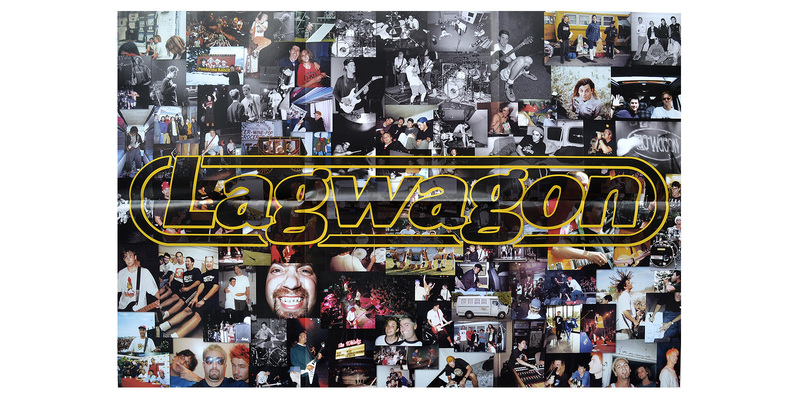 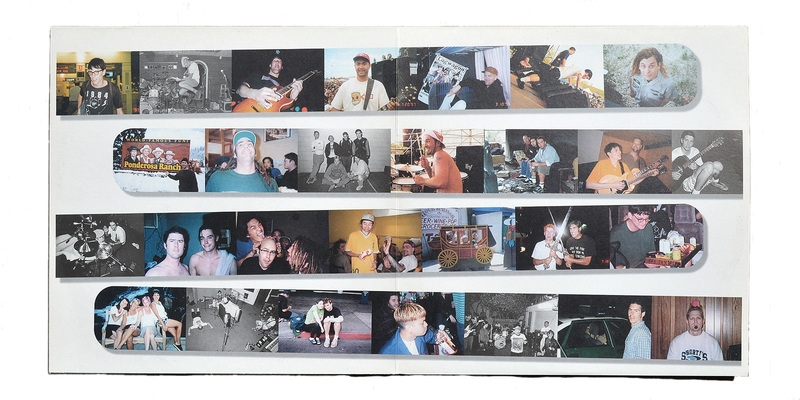 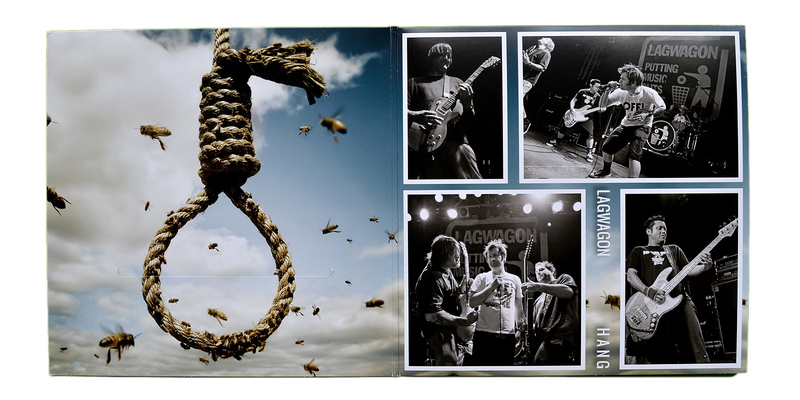 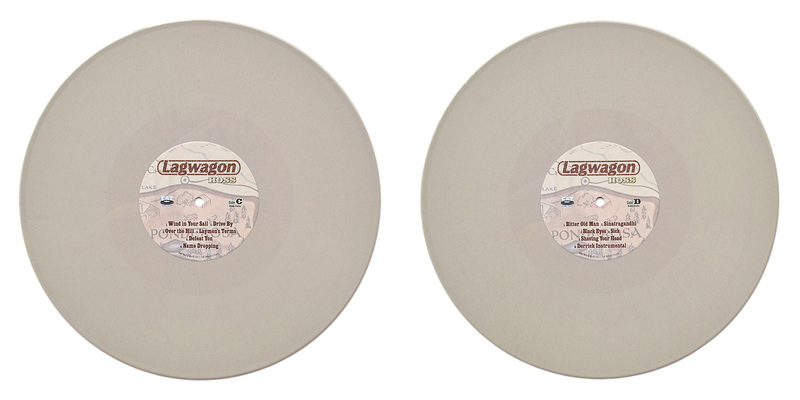 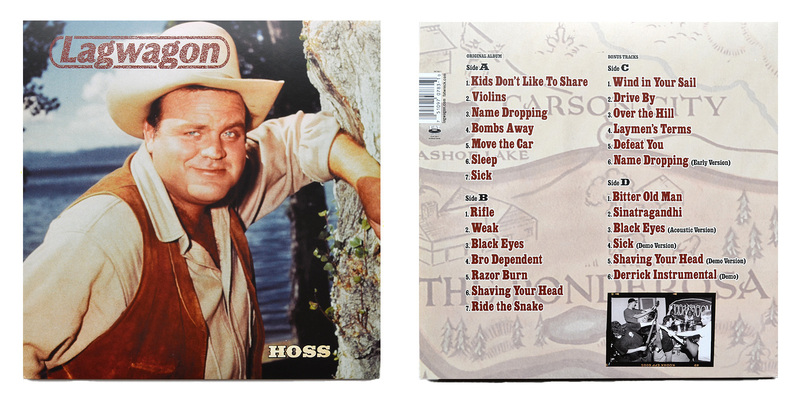 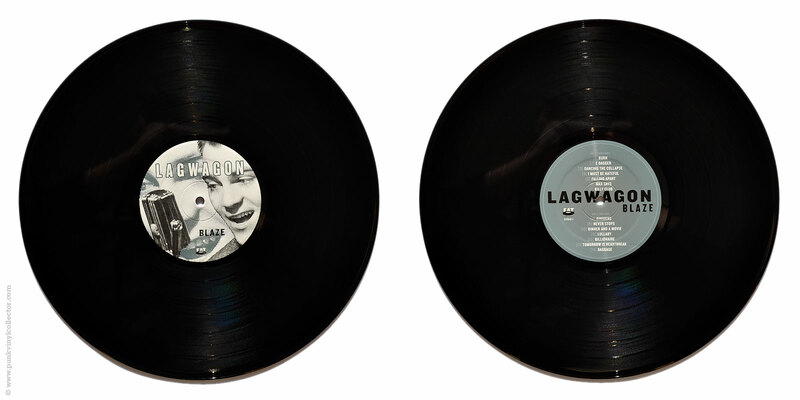 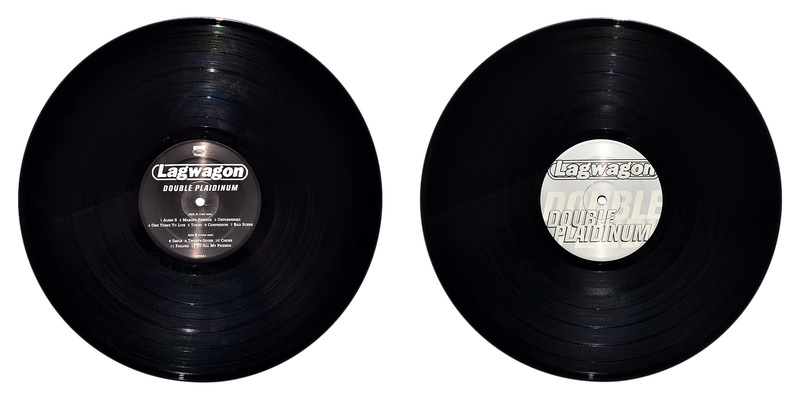 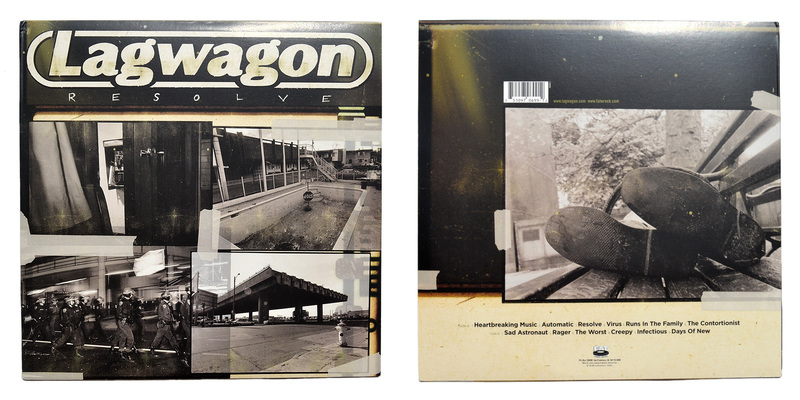 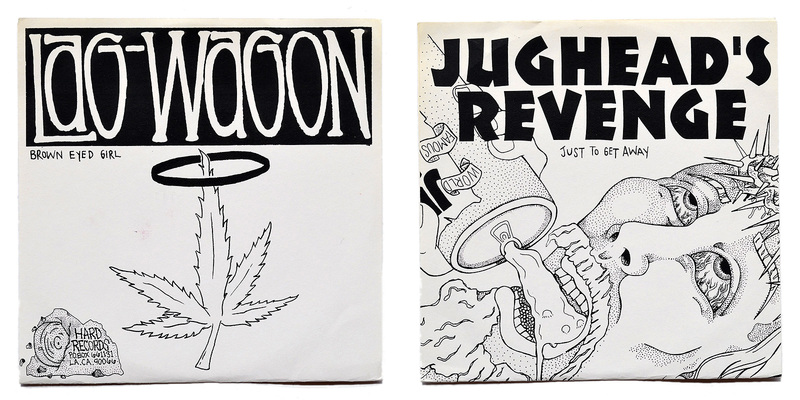 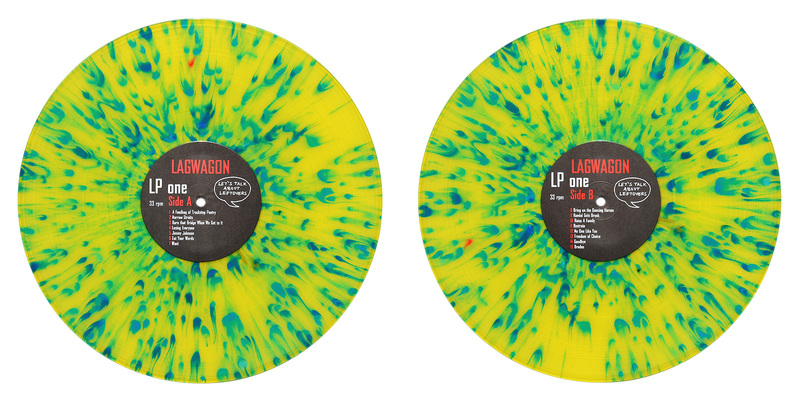 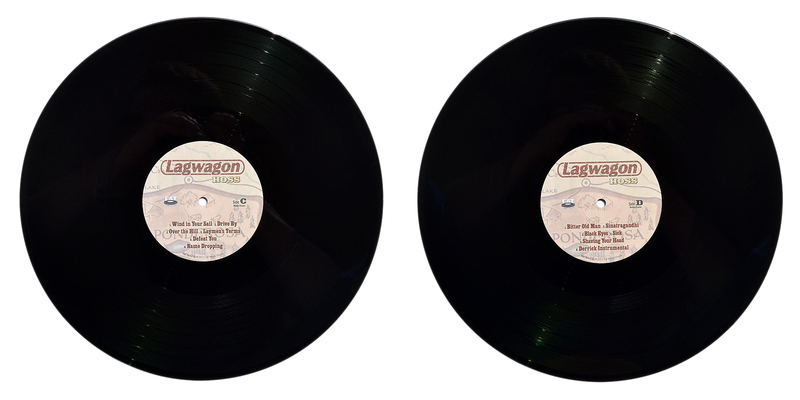 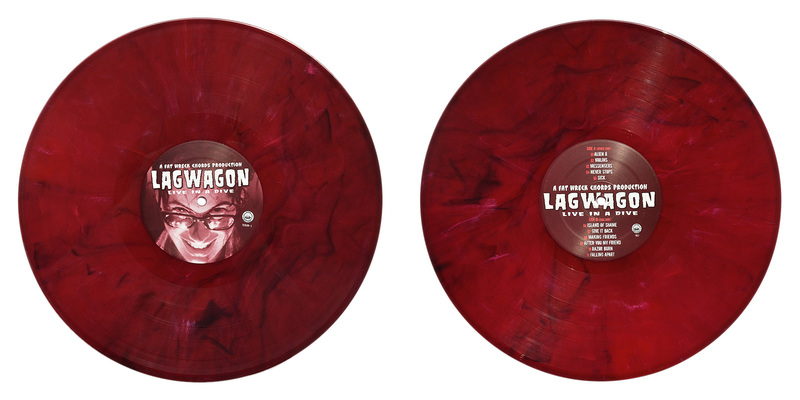 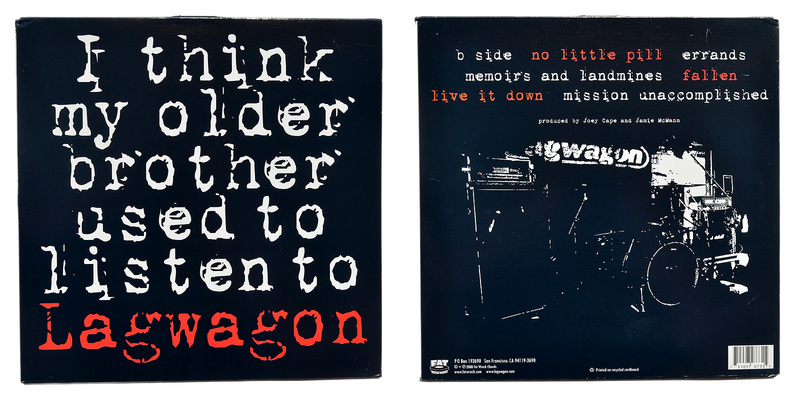 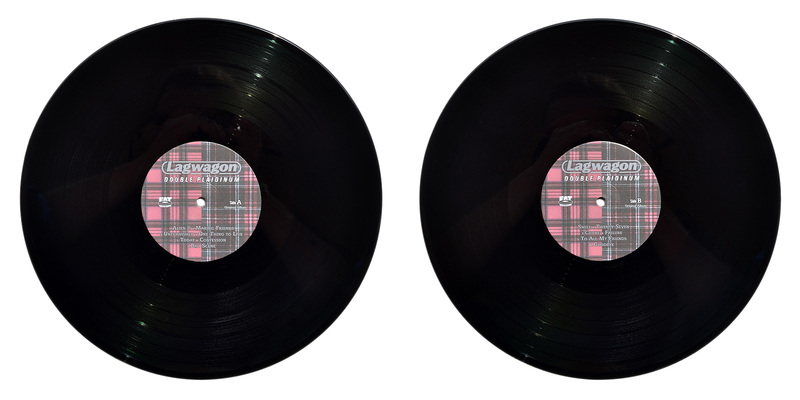 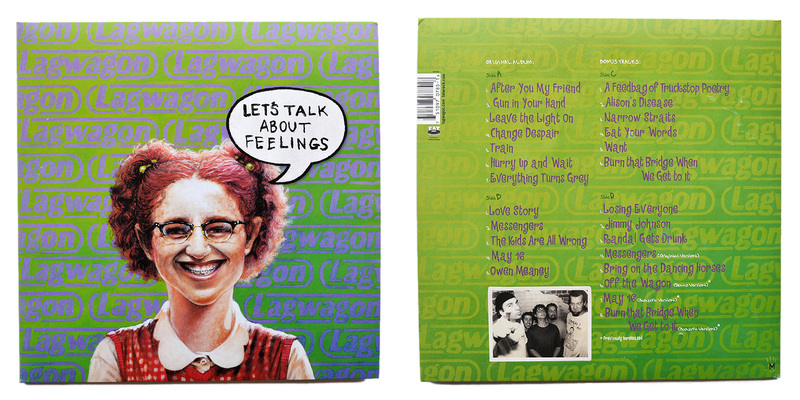 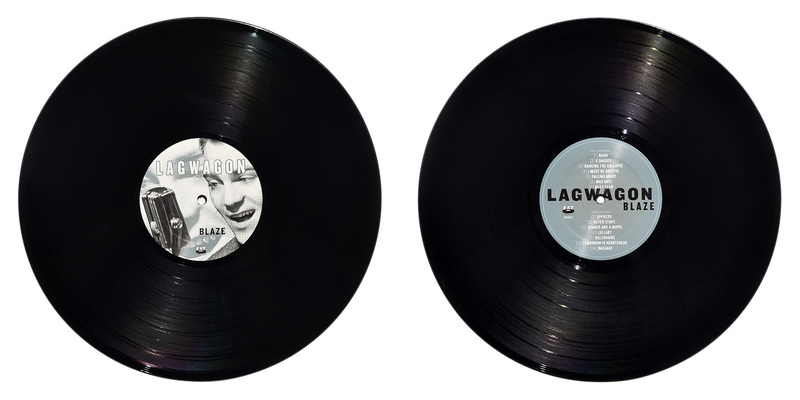 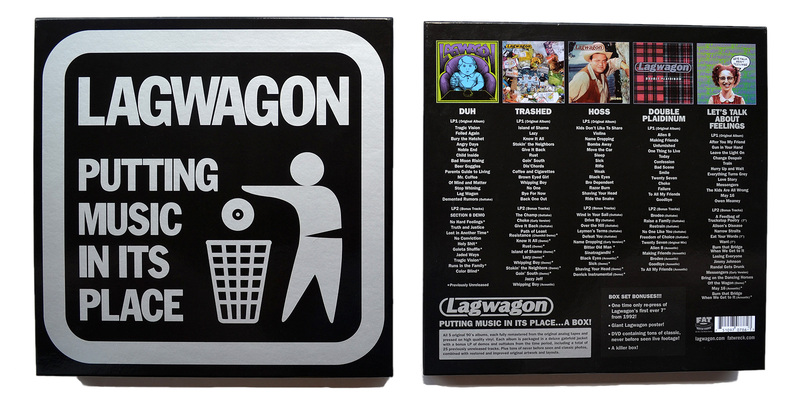 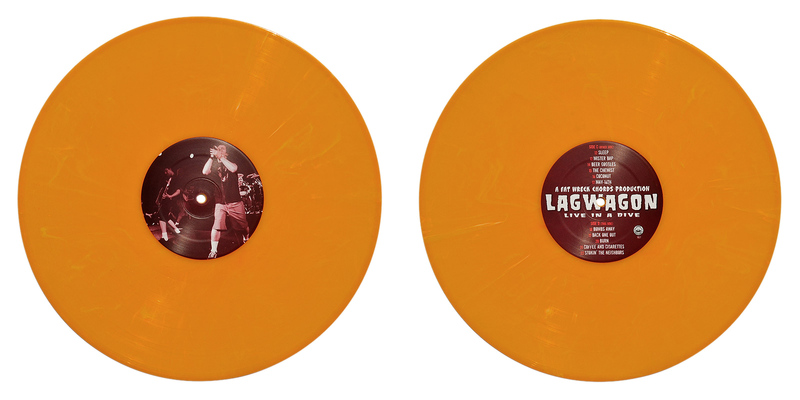 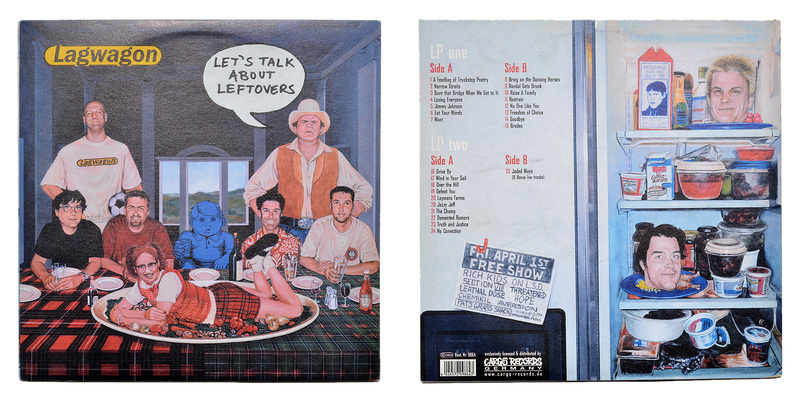 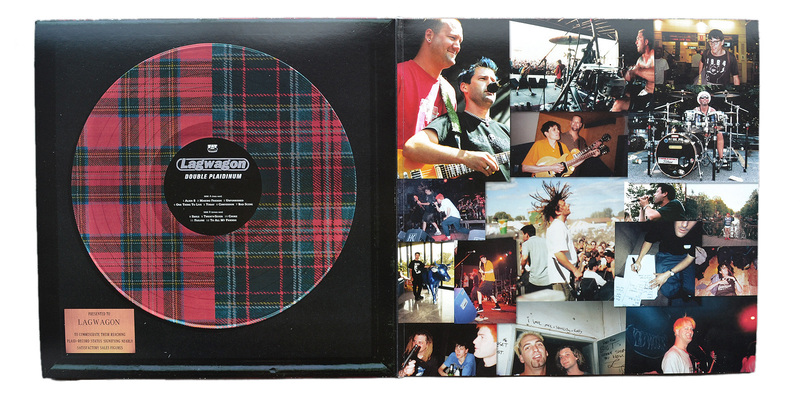 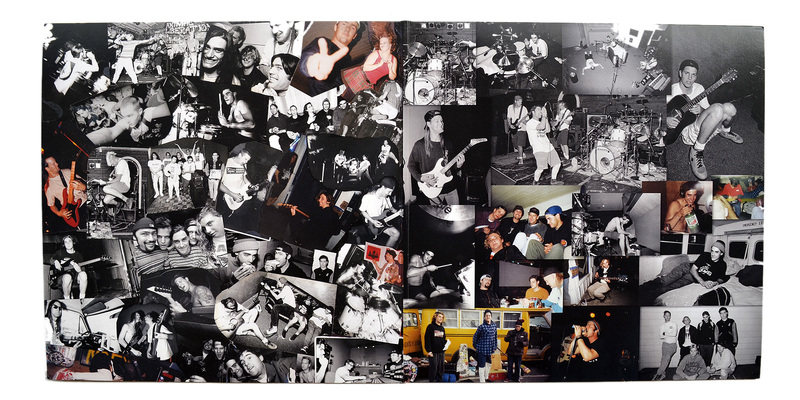 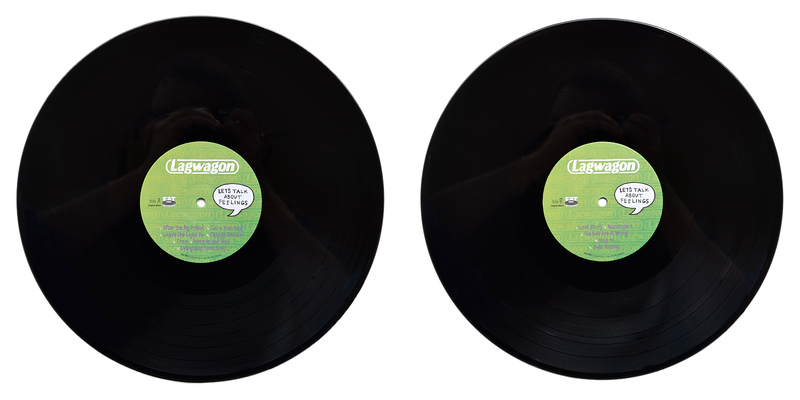 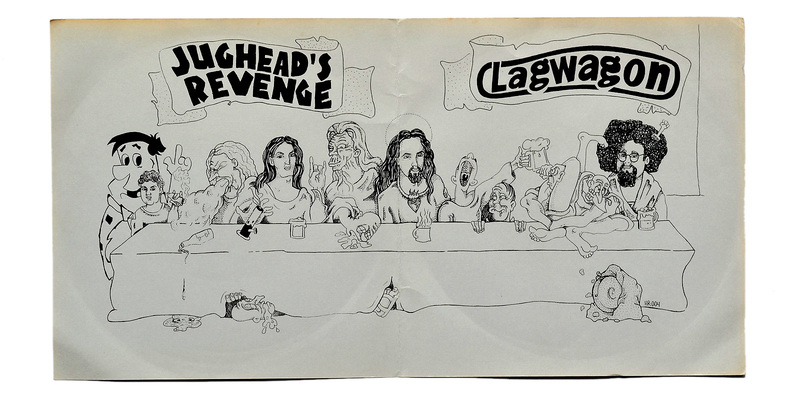 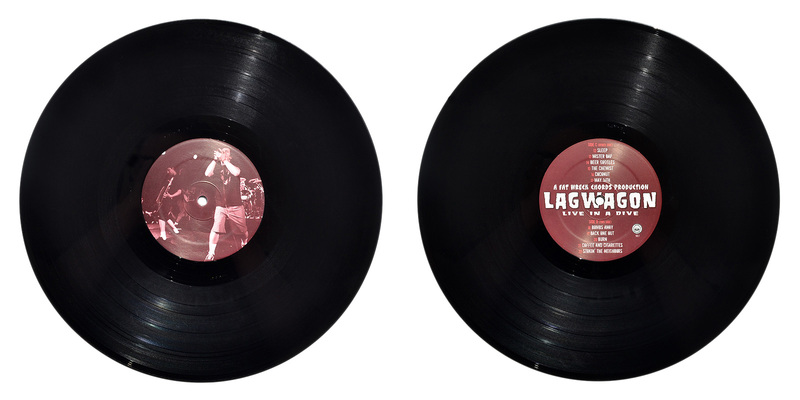 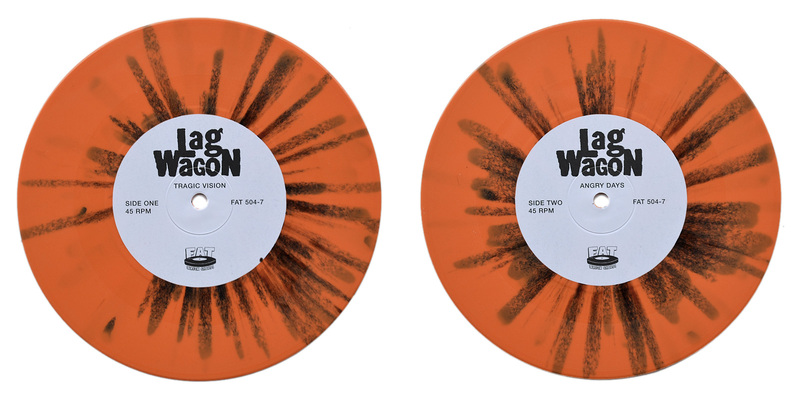 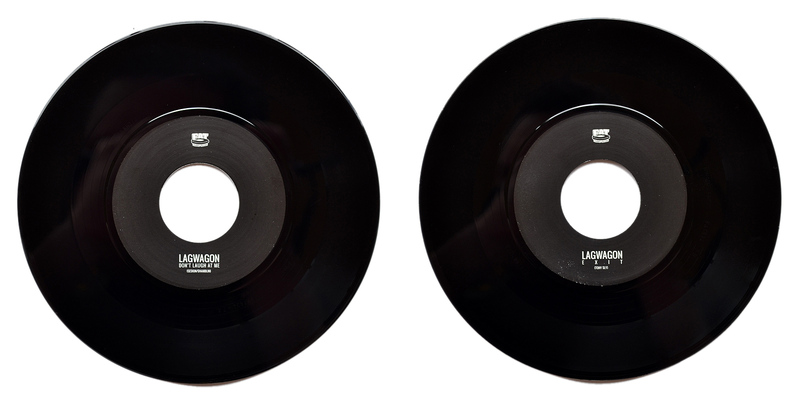 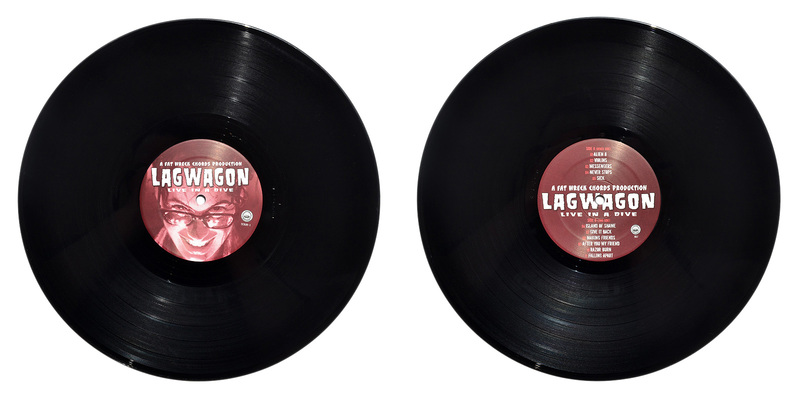 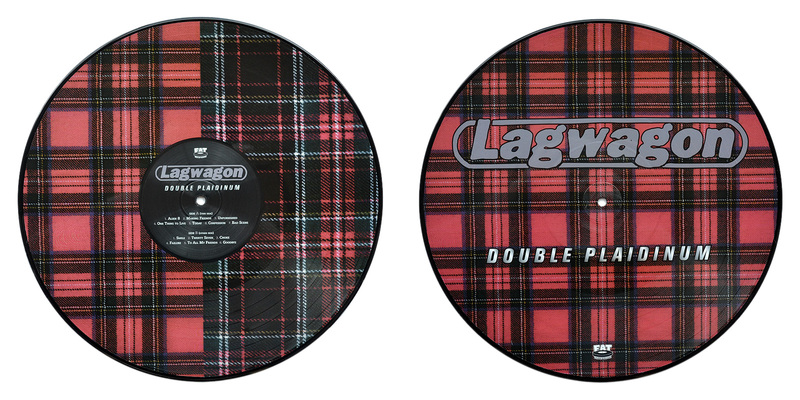 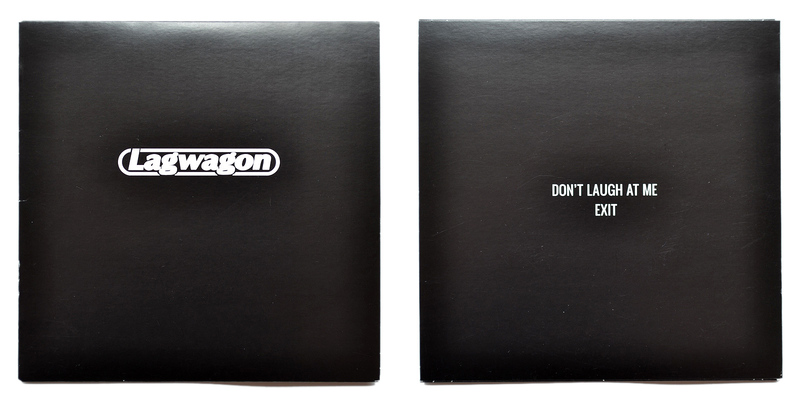 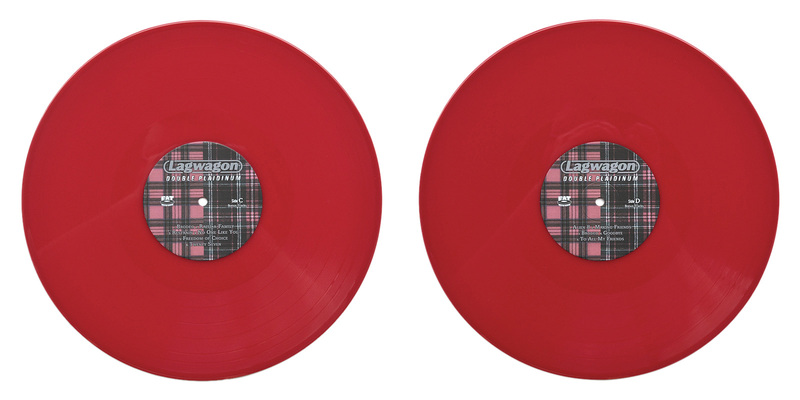 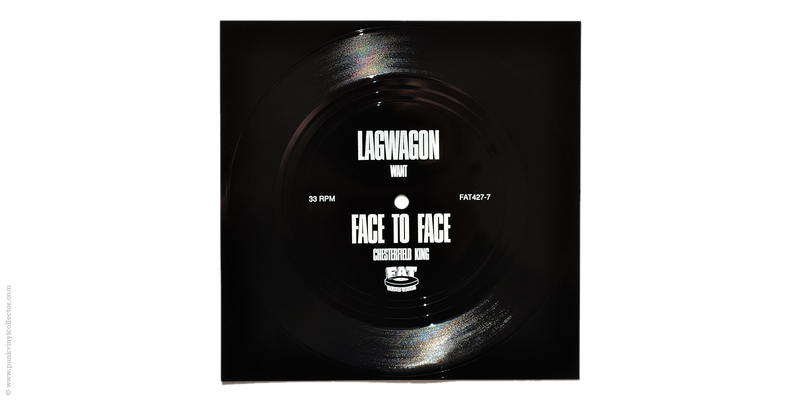 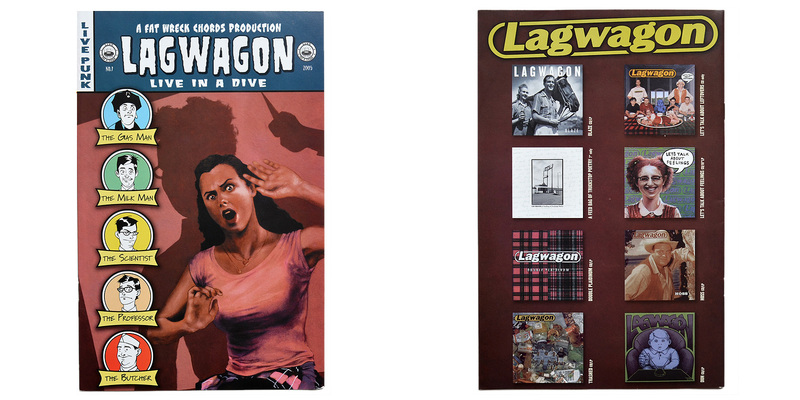 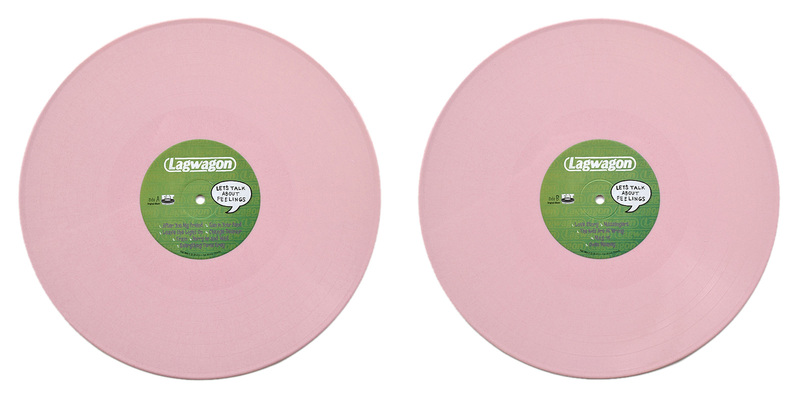 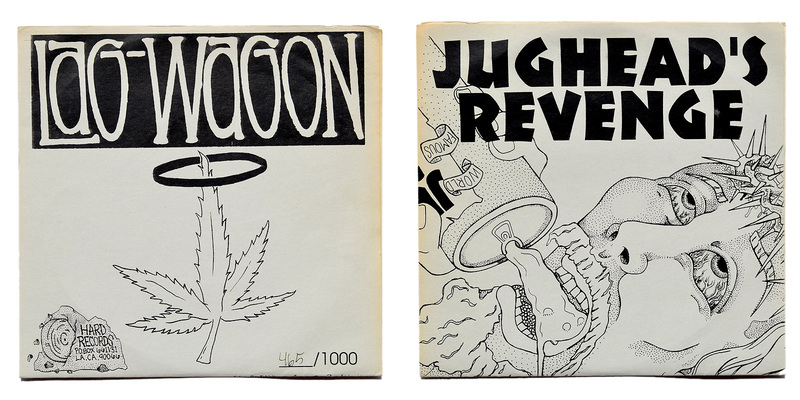 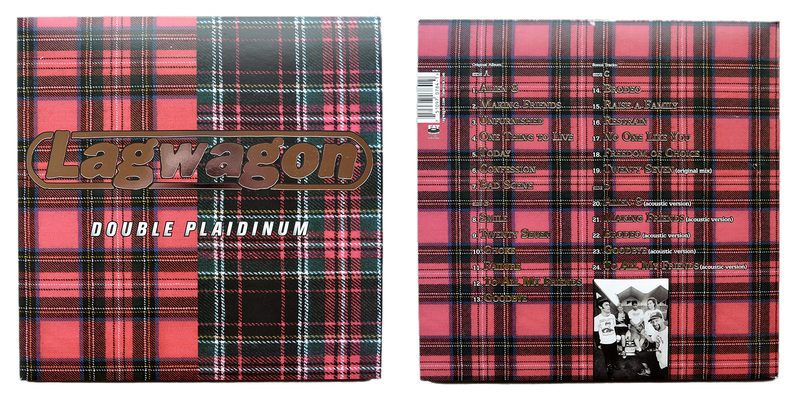 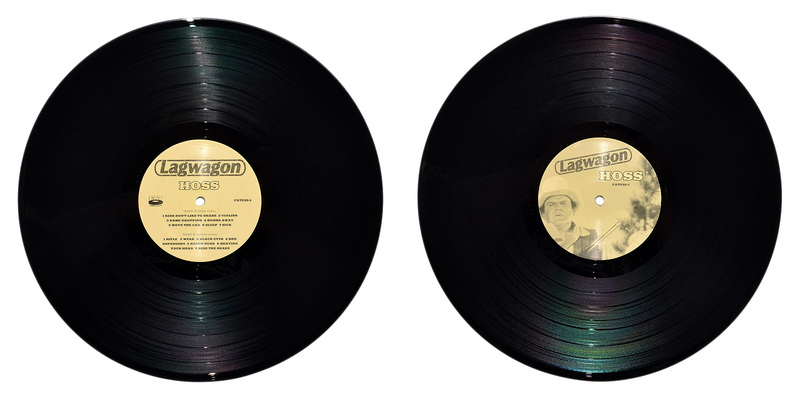 The mispressed 12” was handed out to Lagwagon and was sold at a handful of shows in Canada. 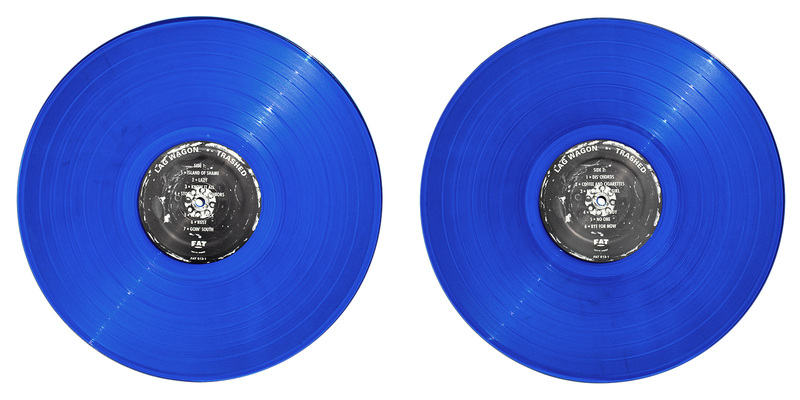 As it should have been a store edition, there are roughly 100 out there. 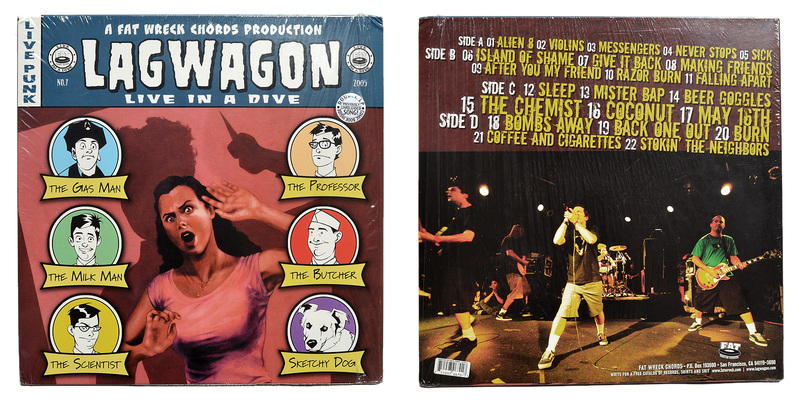 Special info: The flexi was only available as a bonus with the Riot Fest 2017 flexi pack.